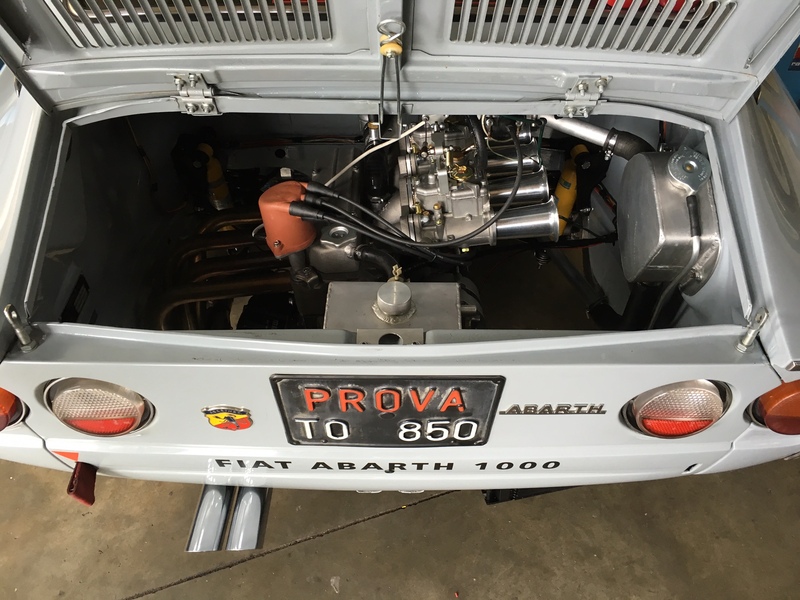 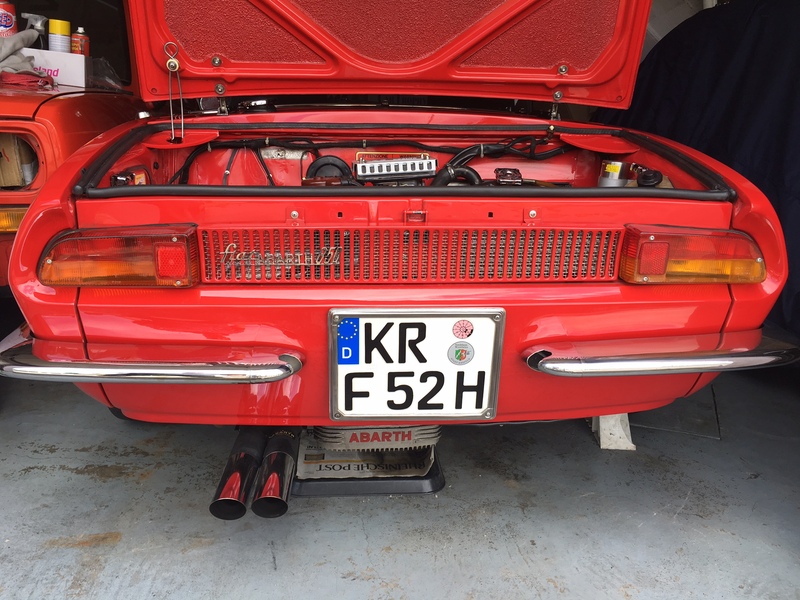 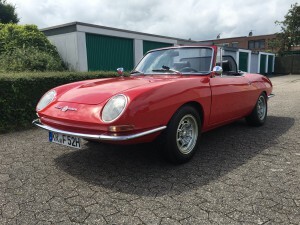 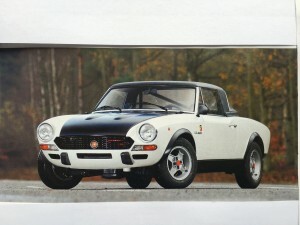 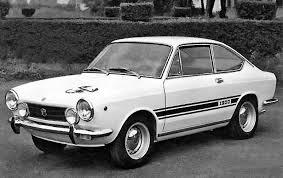 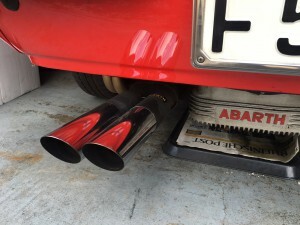 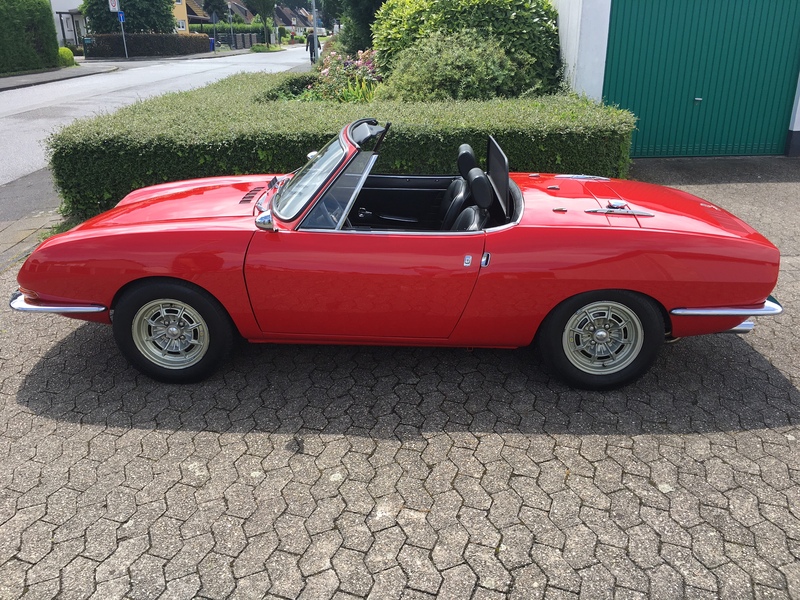 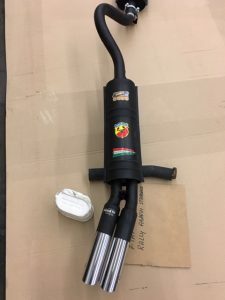 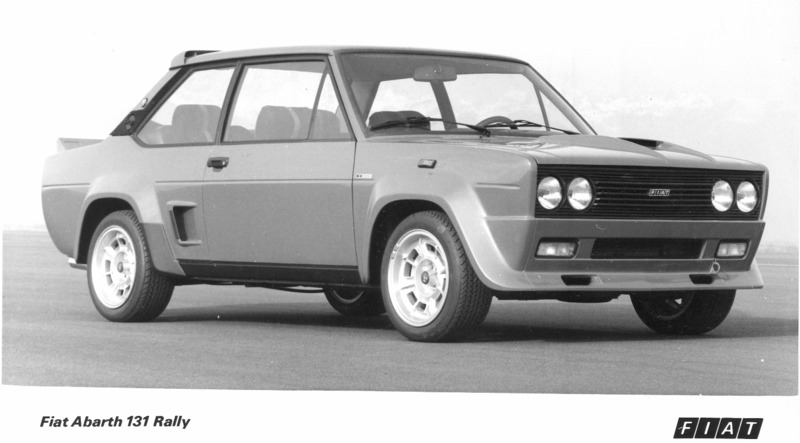 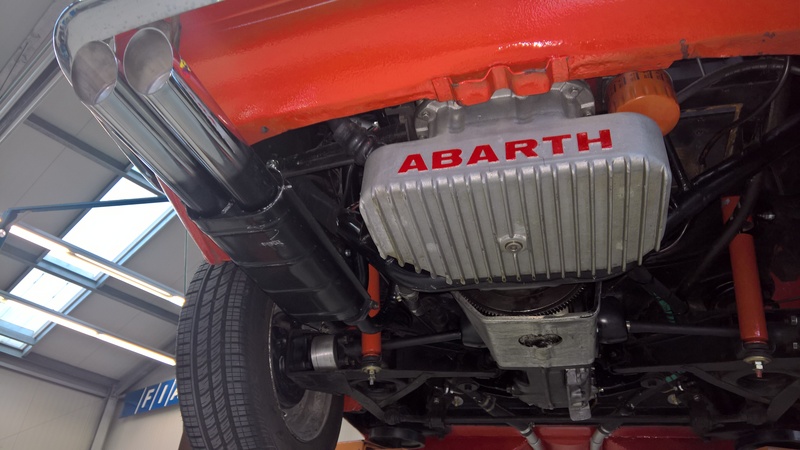 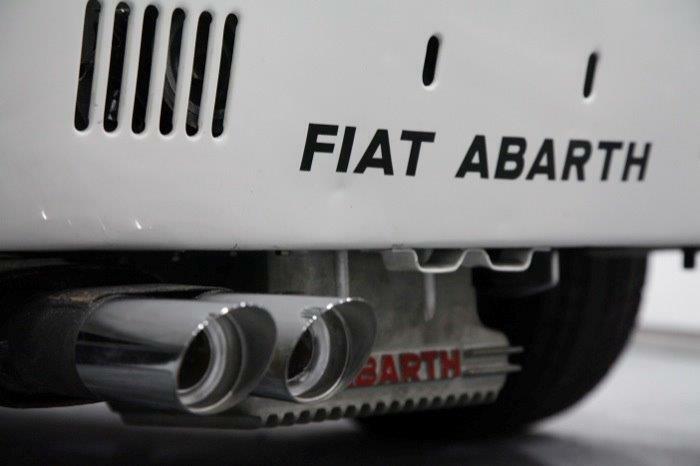 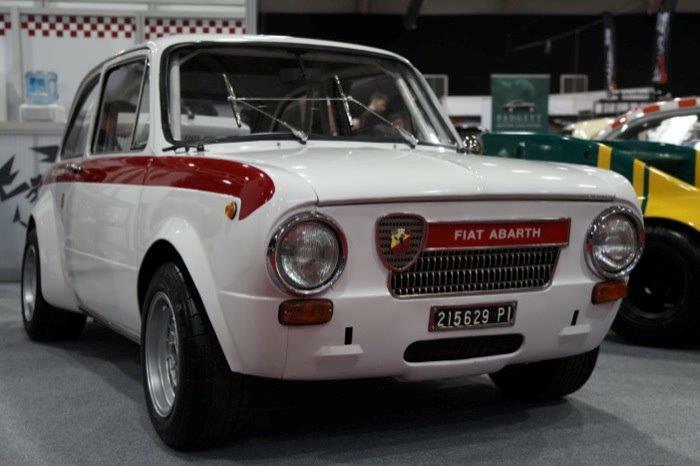 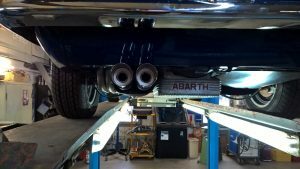 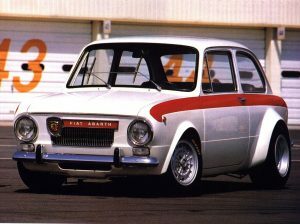 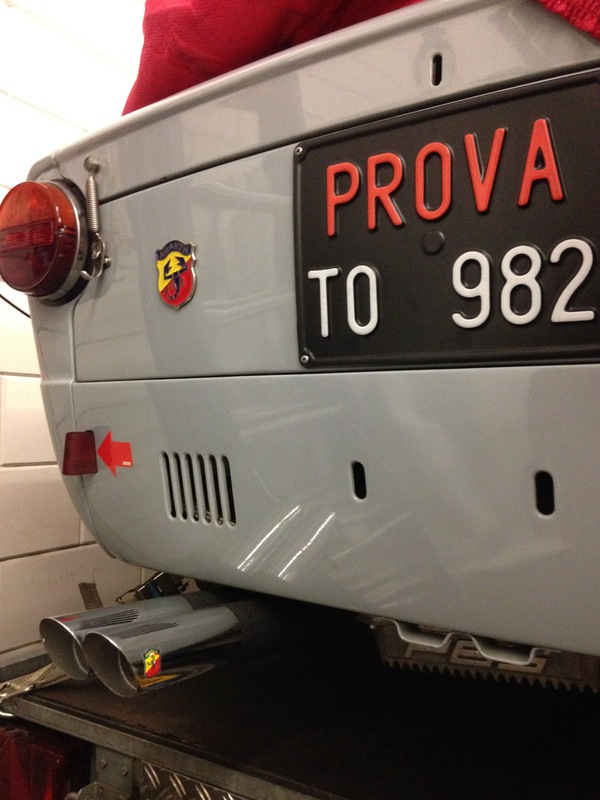 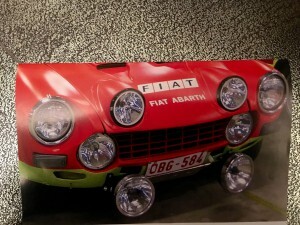 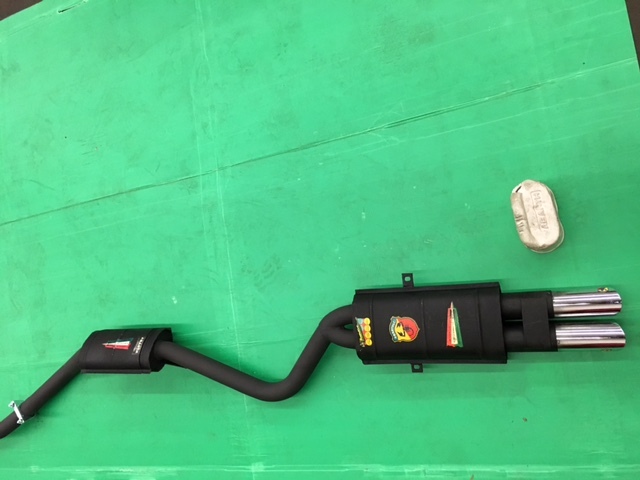 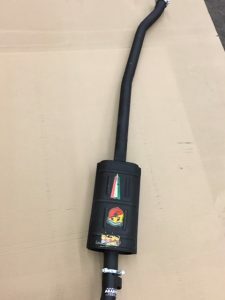 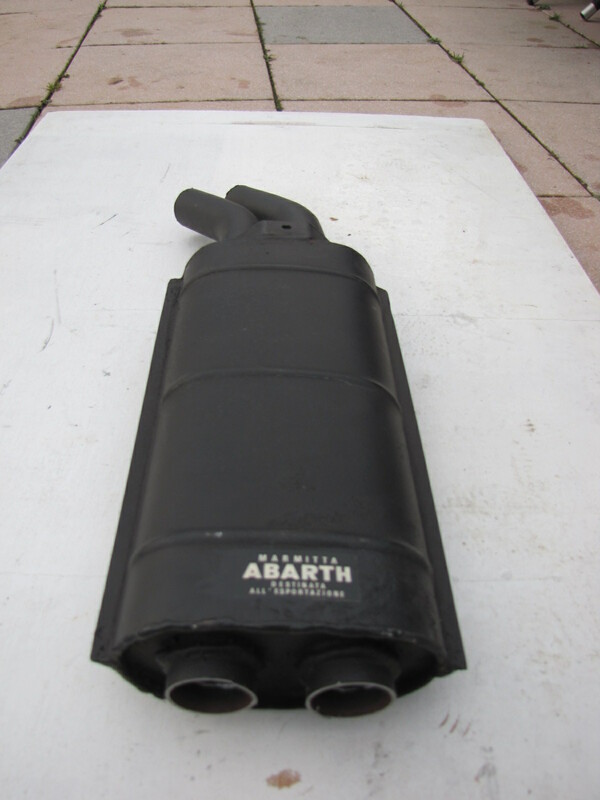 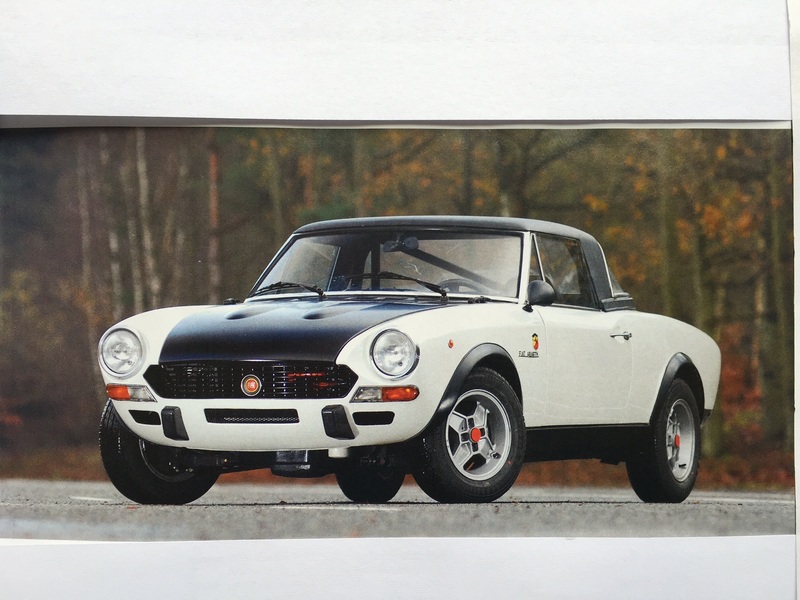 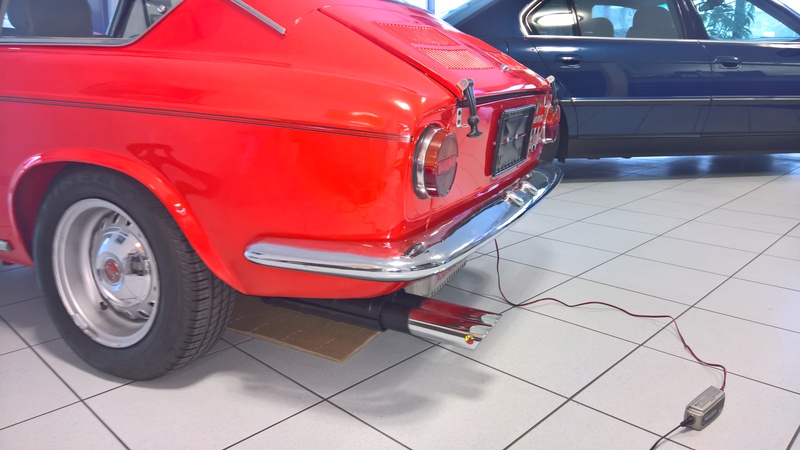 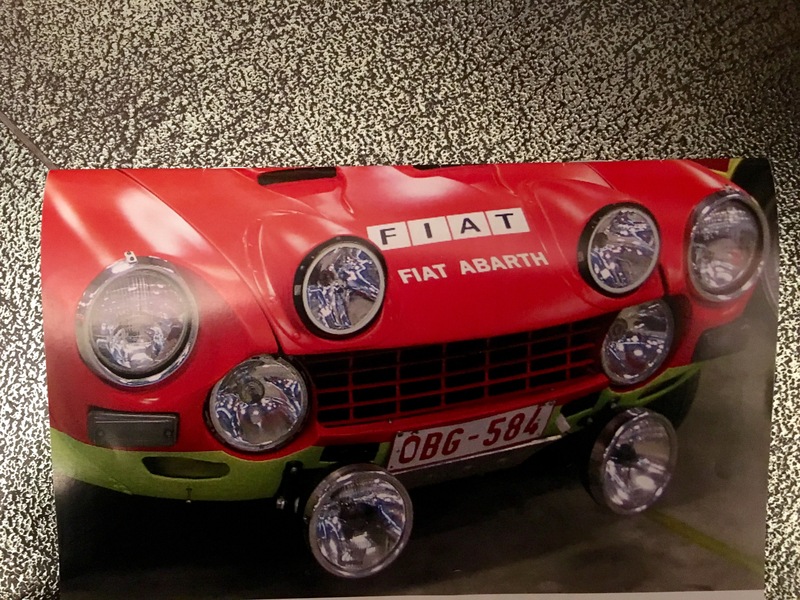 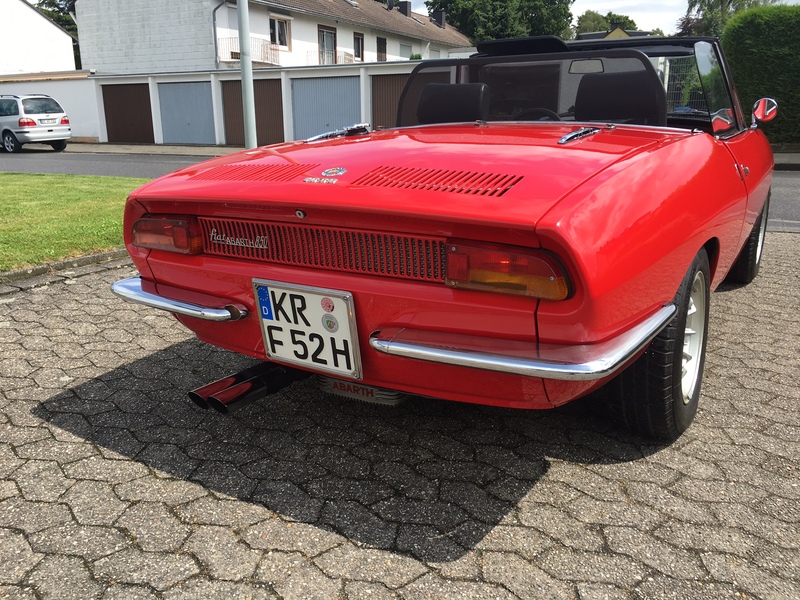 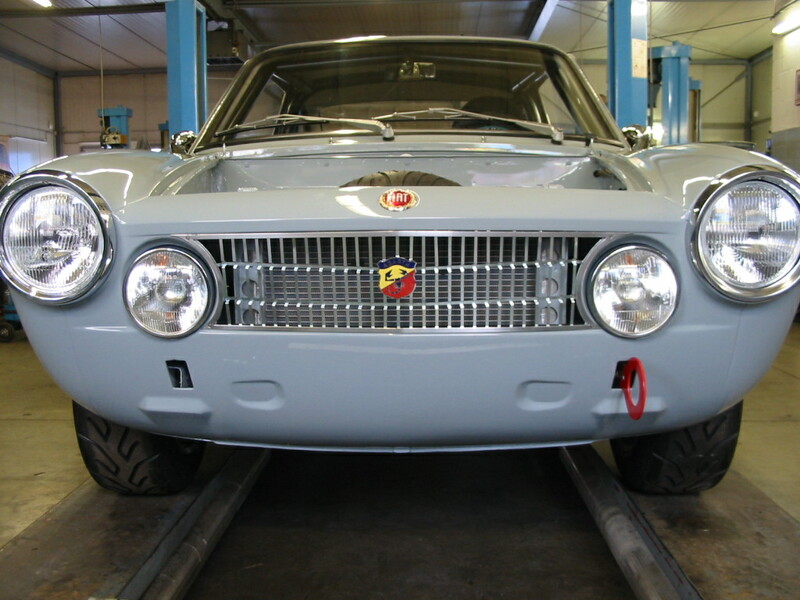 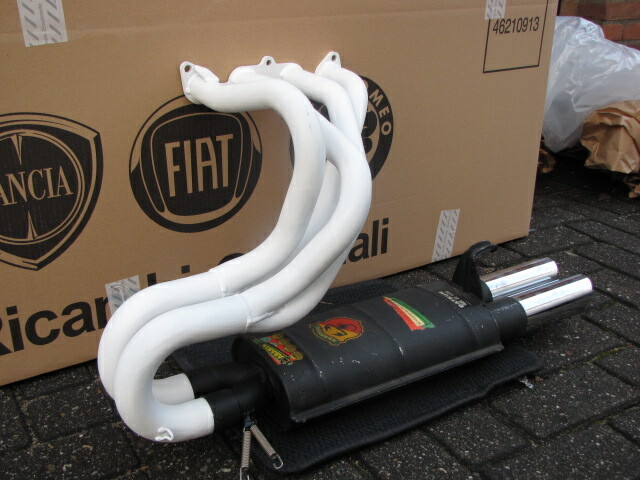 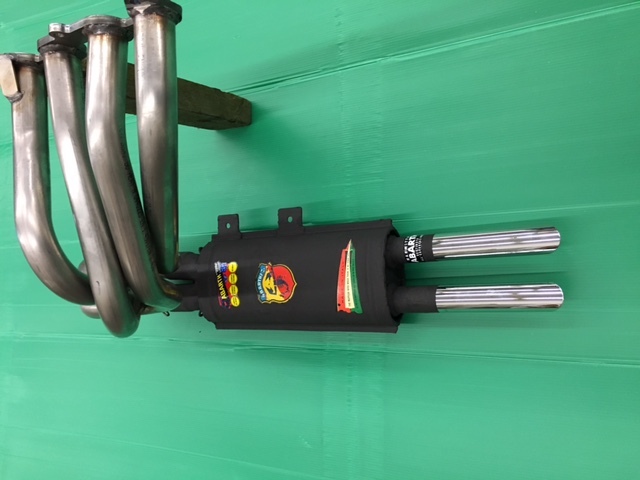 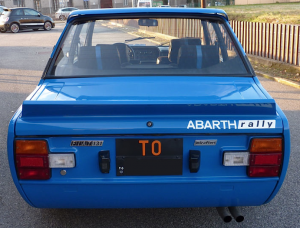 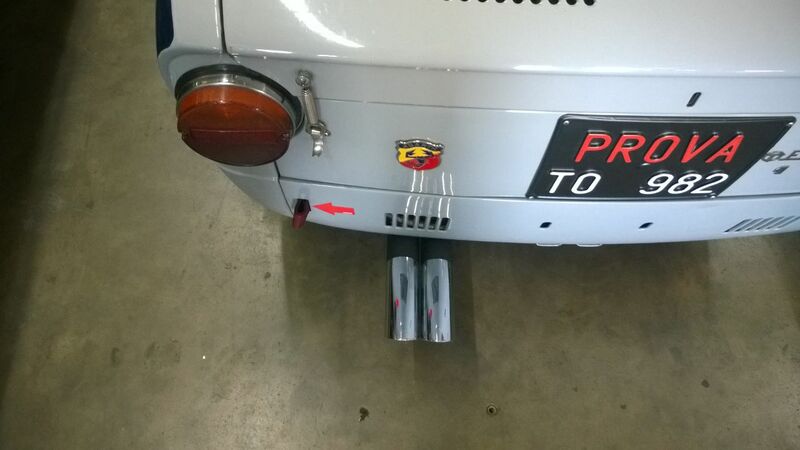 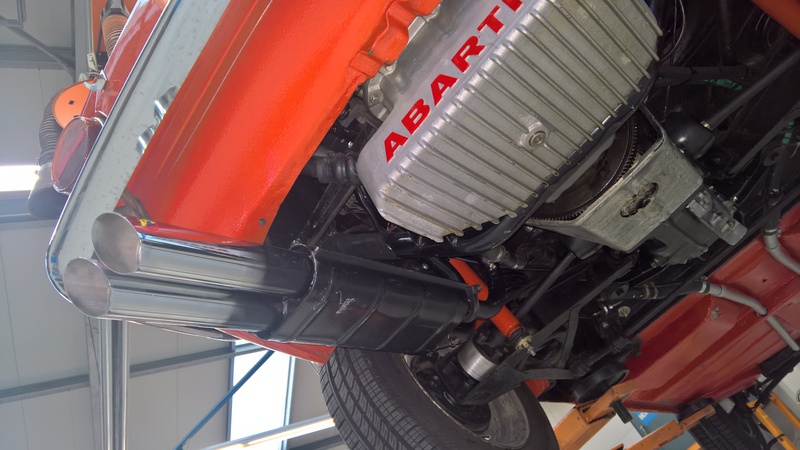 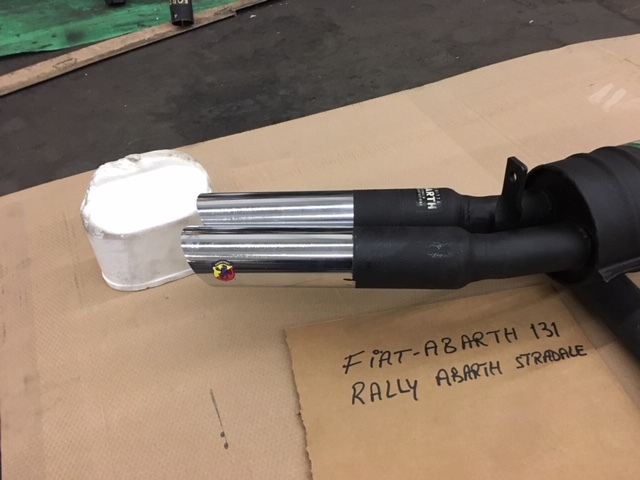 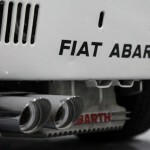 FIAT-ABARTH 124 Spider 1800 CSA, the original ABARTH & C. two piece exhaust system with one middle- and endsilencer, 50 mm OD pipes, Abarth nr. 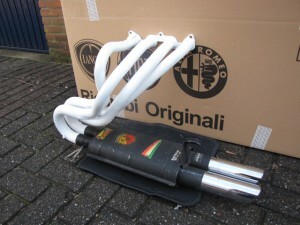 1465 price of this system € 750,00 incl. 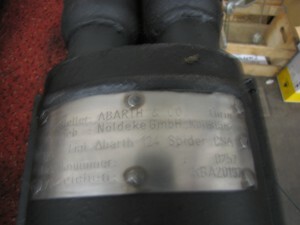 German ABE! 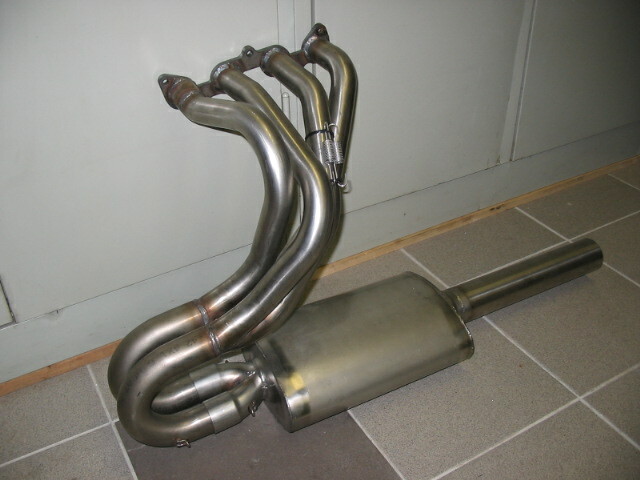 Max.noise 84 dB. 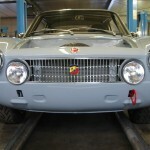 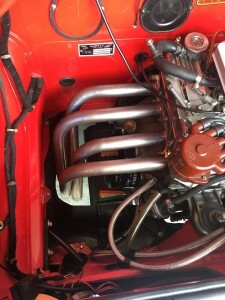 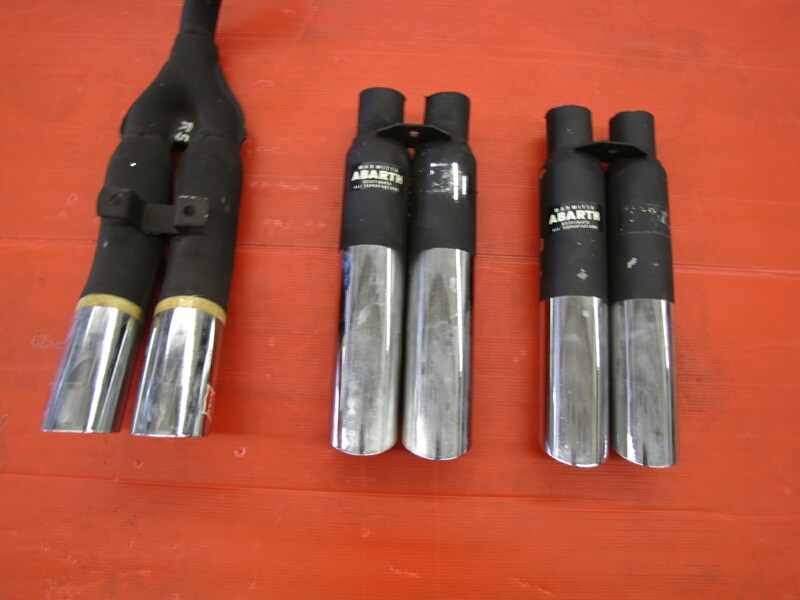 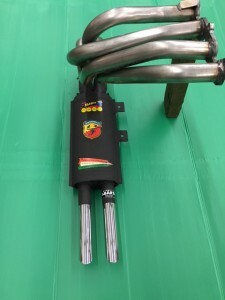 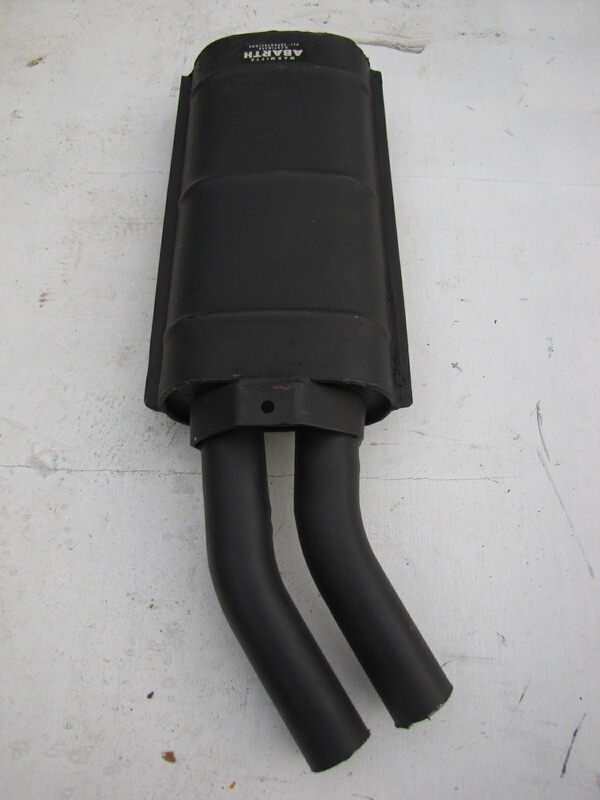 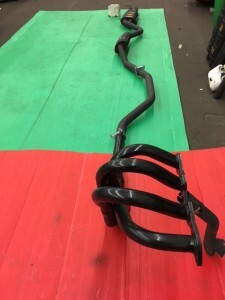 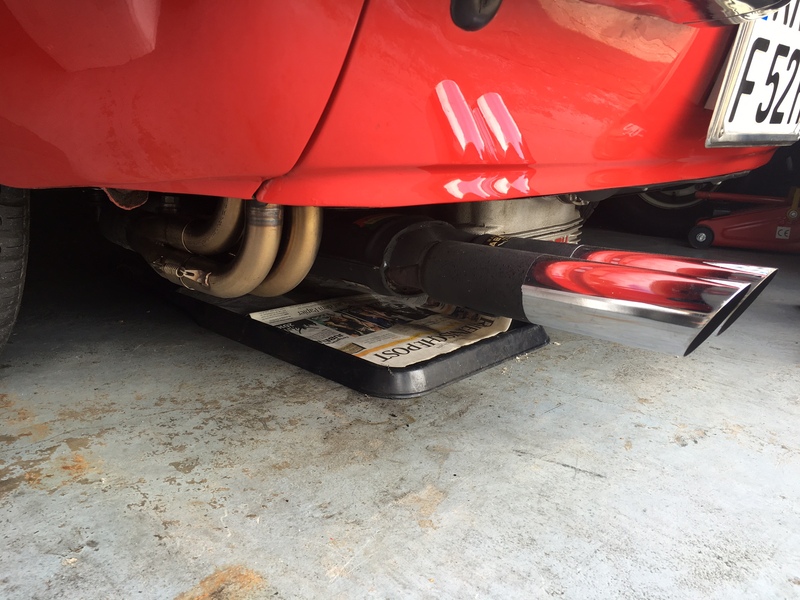 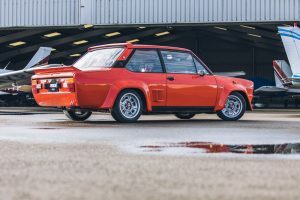 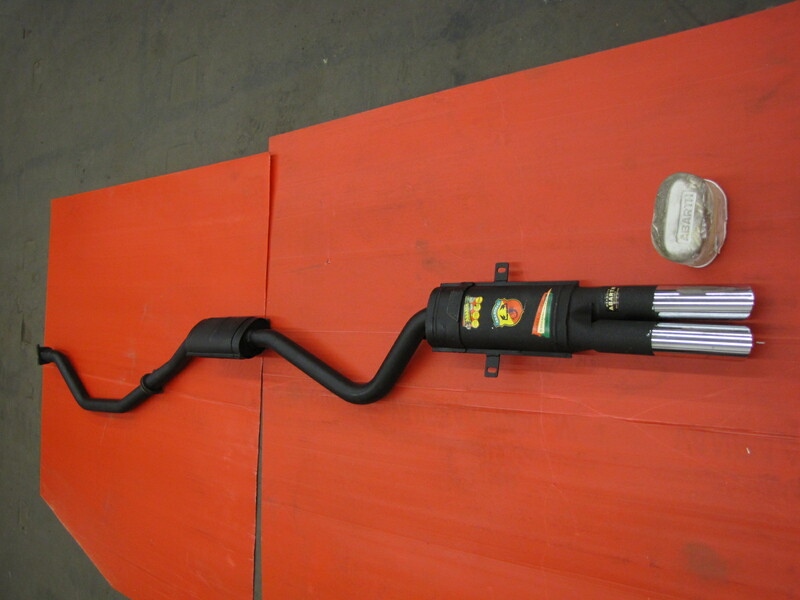 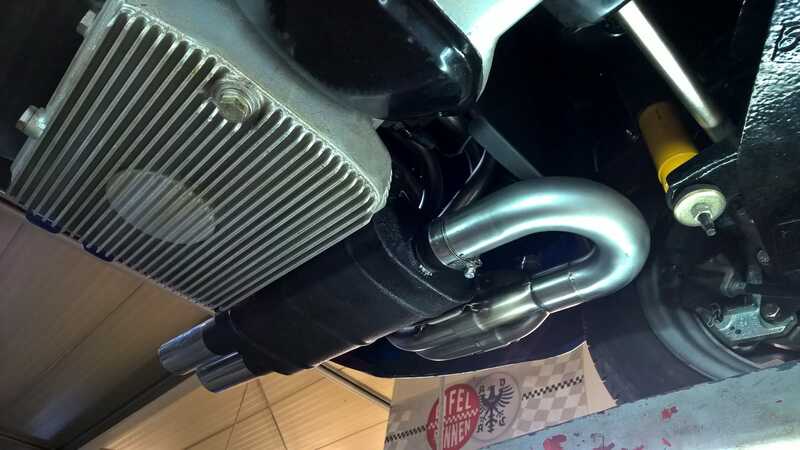 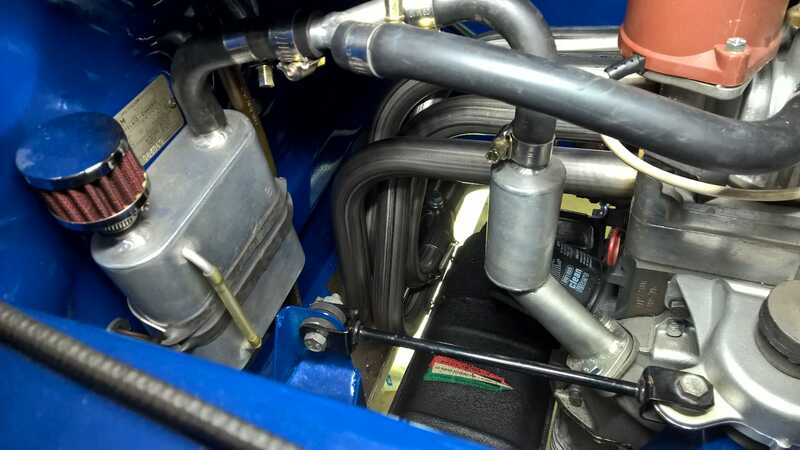 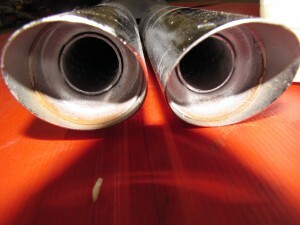 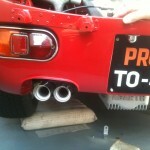 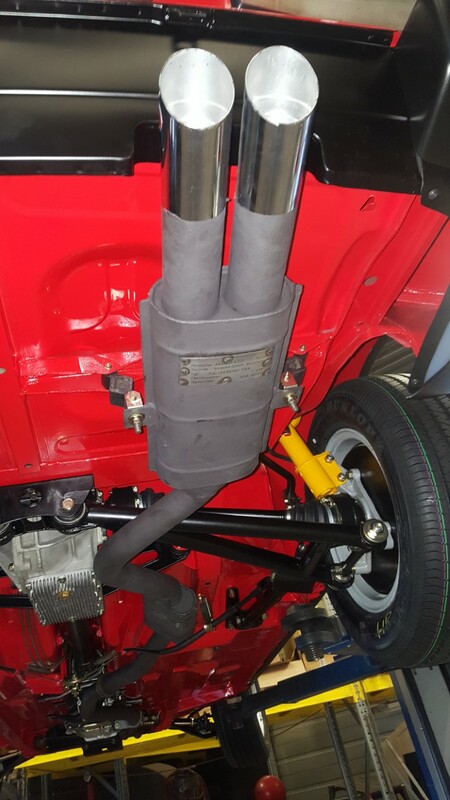 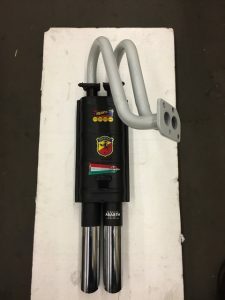 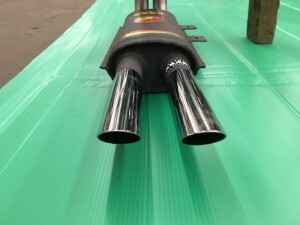 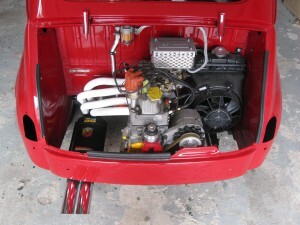 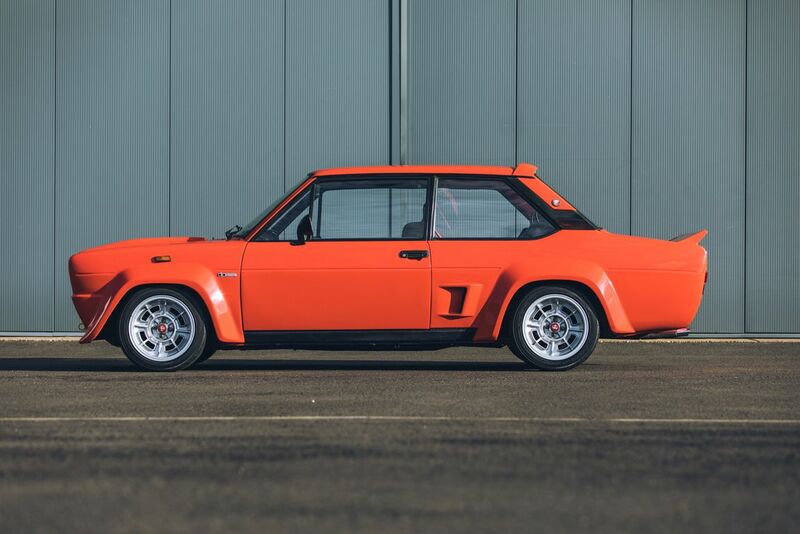 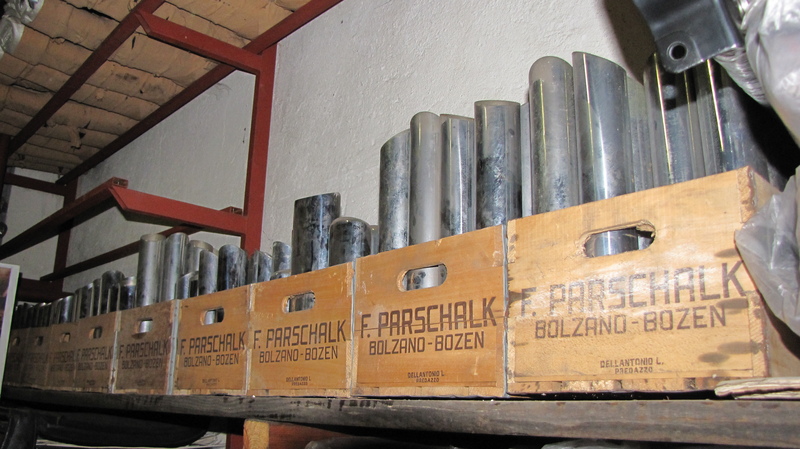 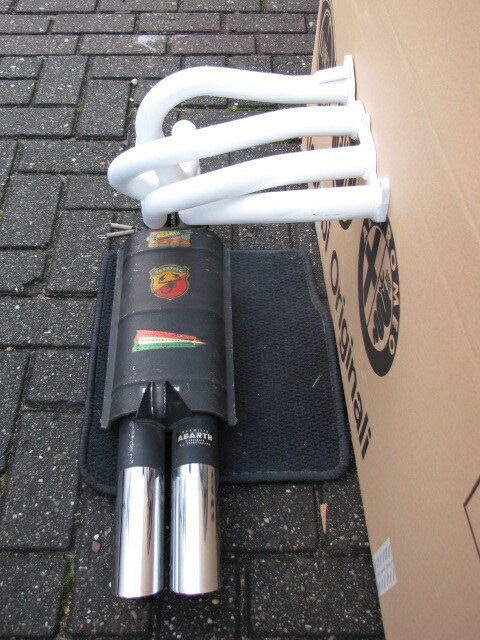 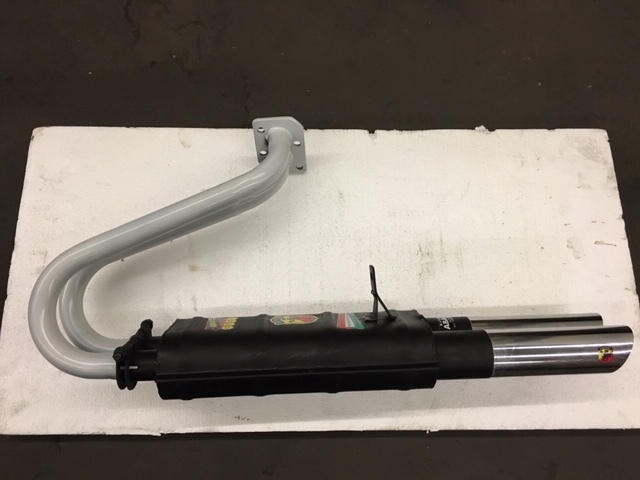 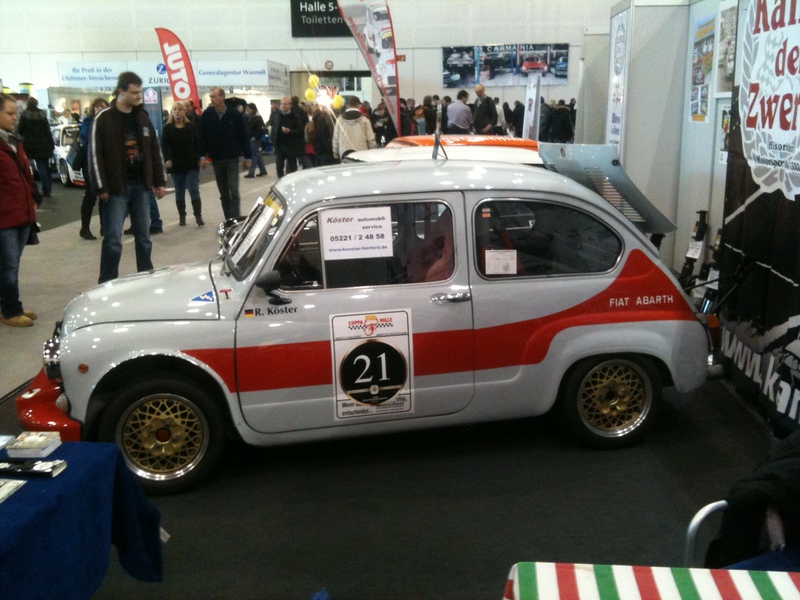 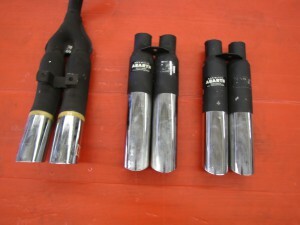 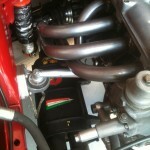 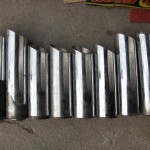 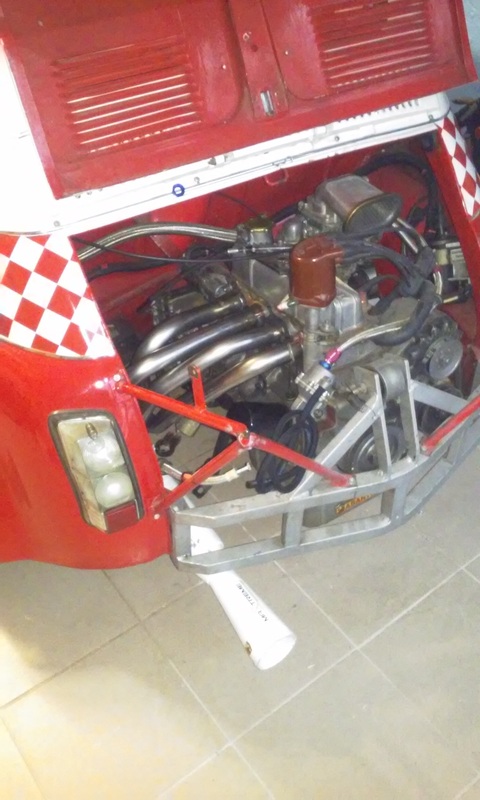 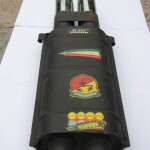 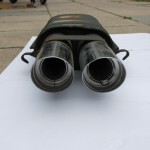 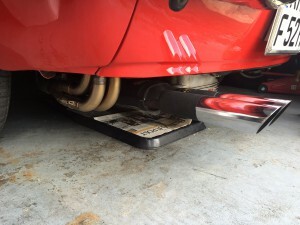 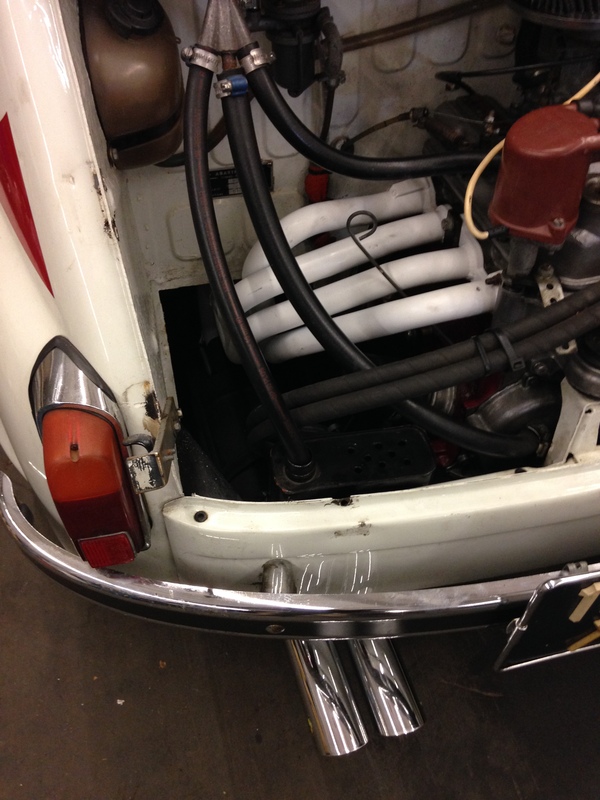 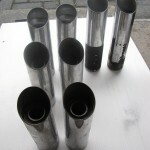 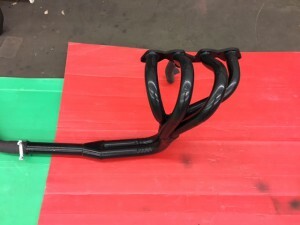 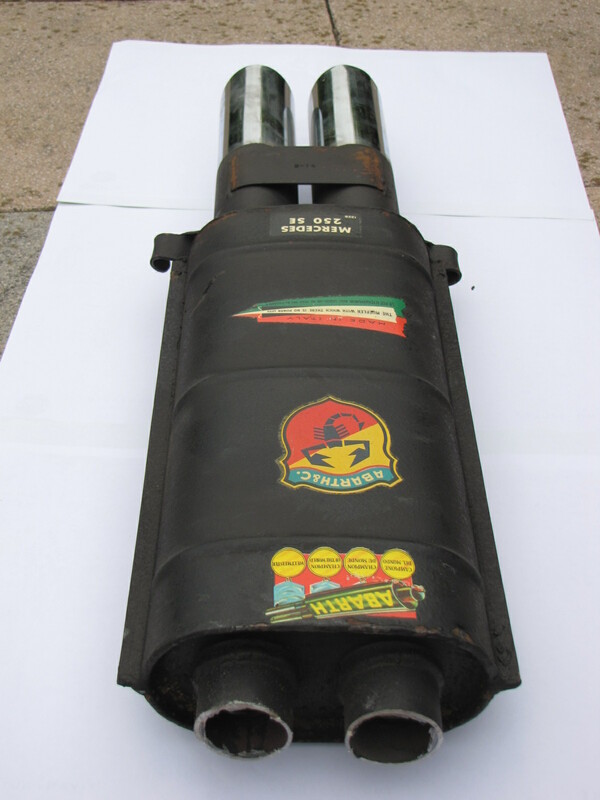 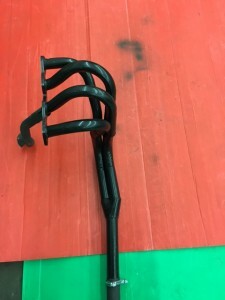 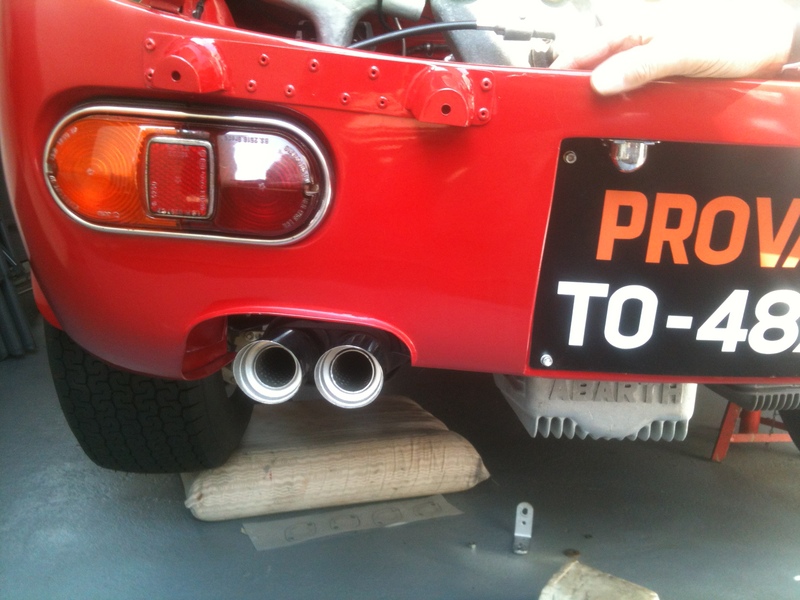 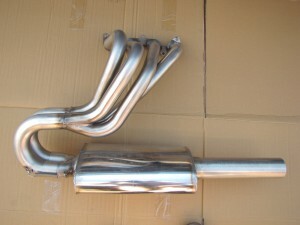 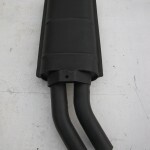 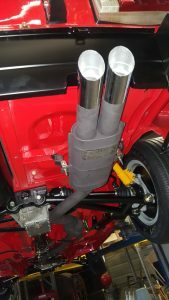 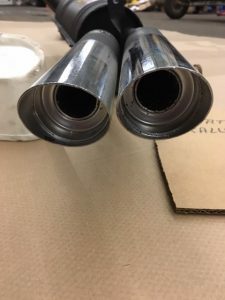 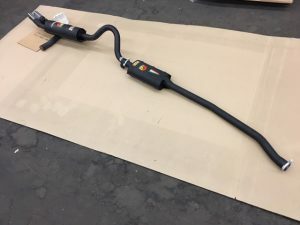 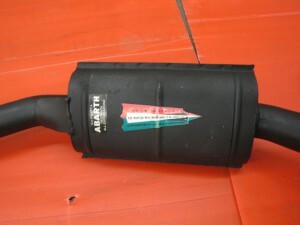 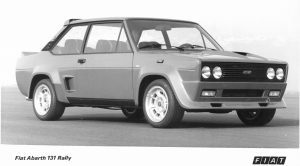 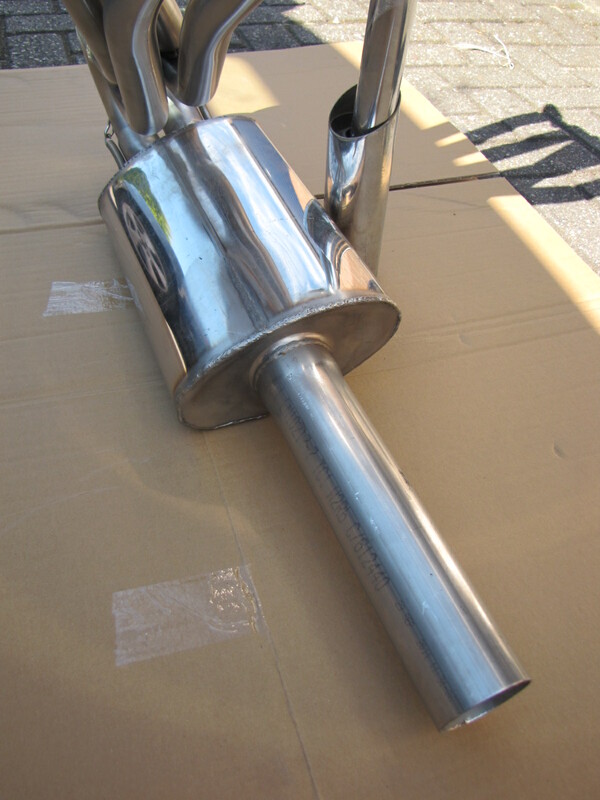 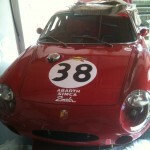 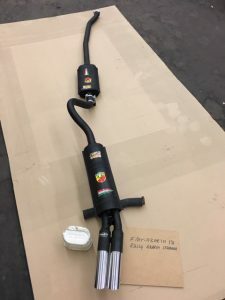 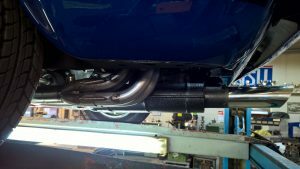 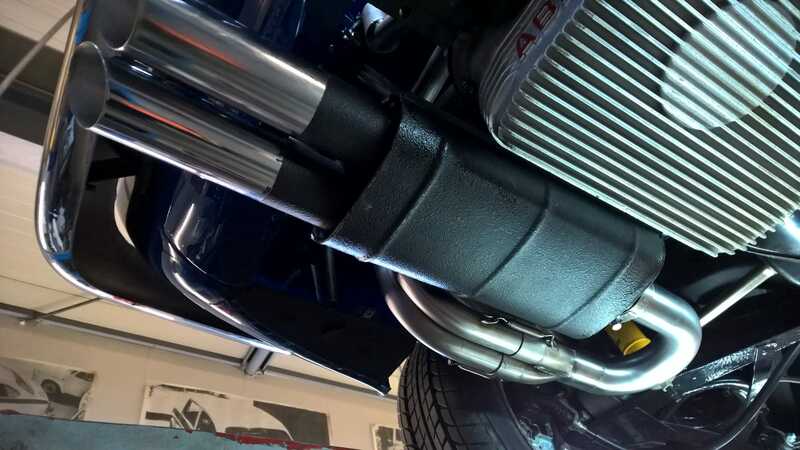 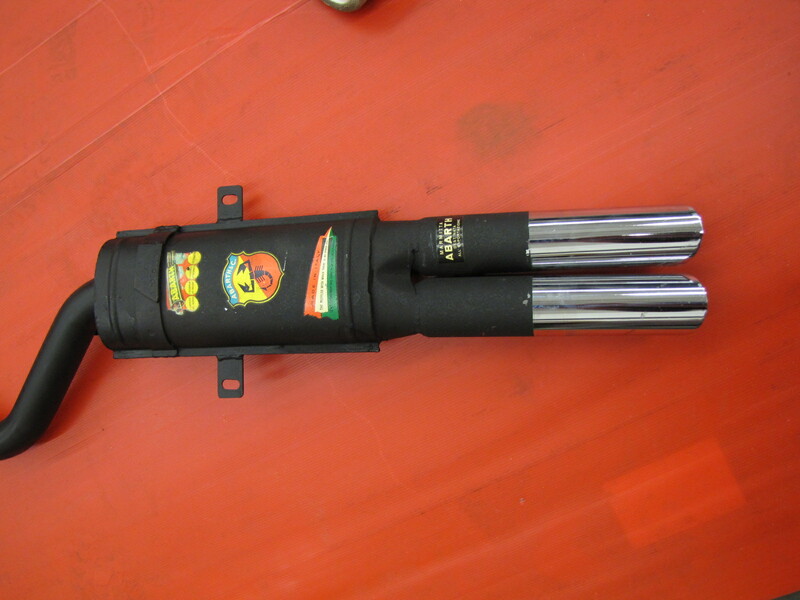 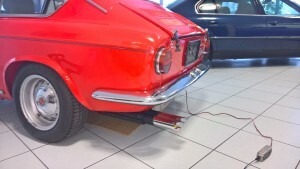 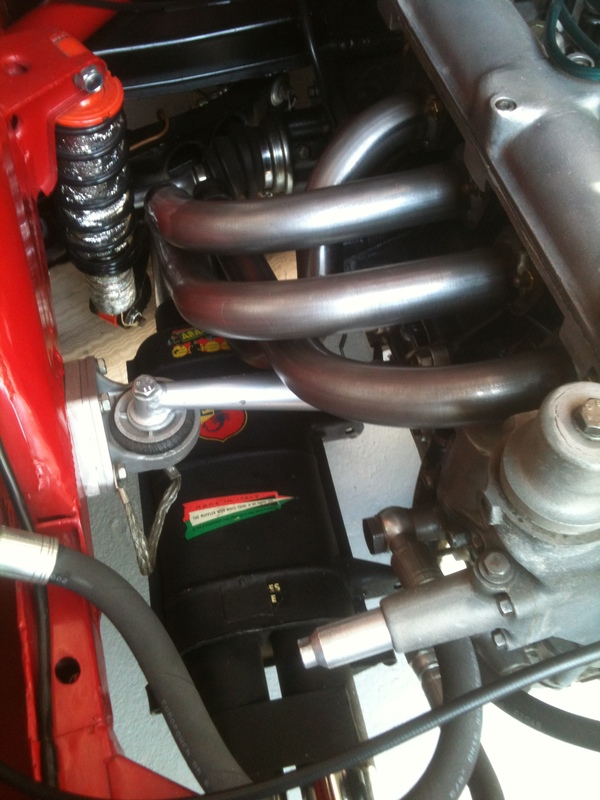 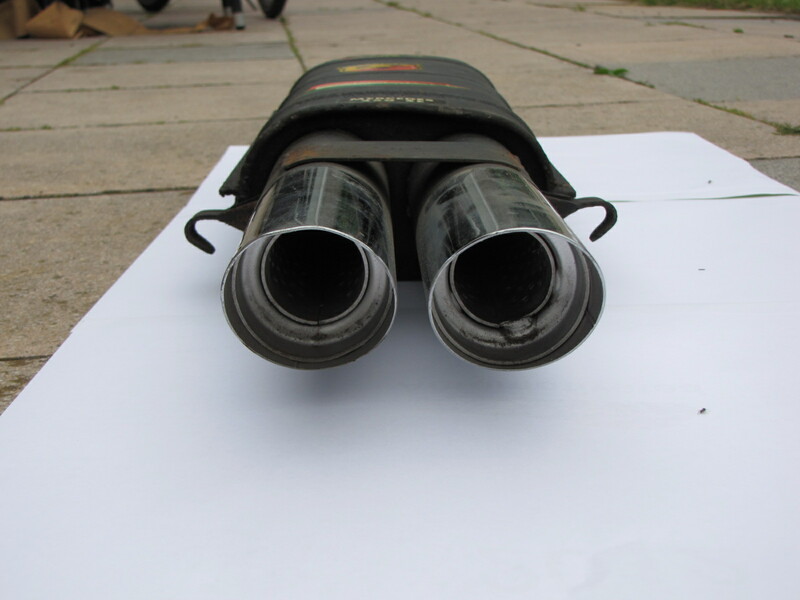 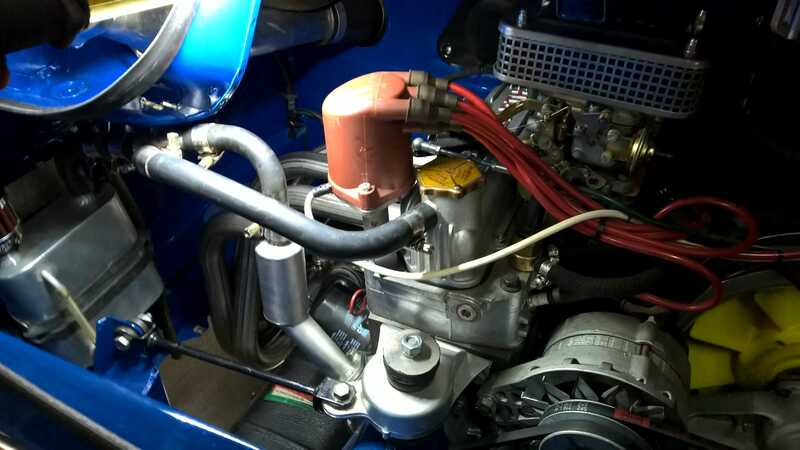 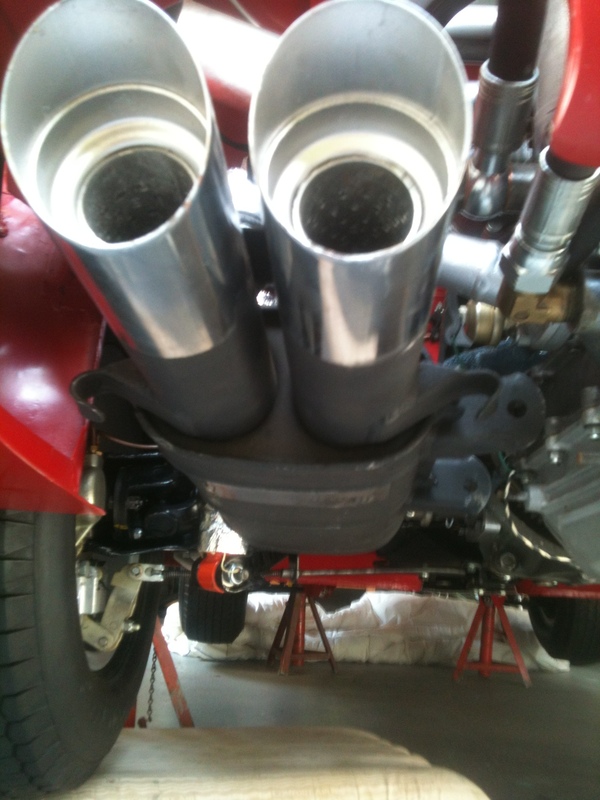 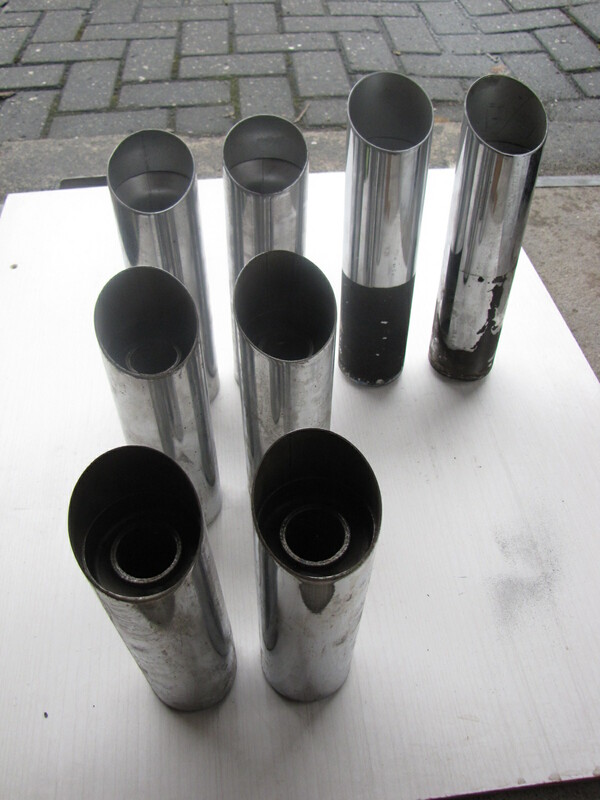 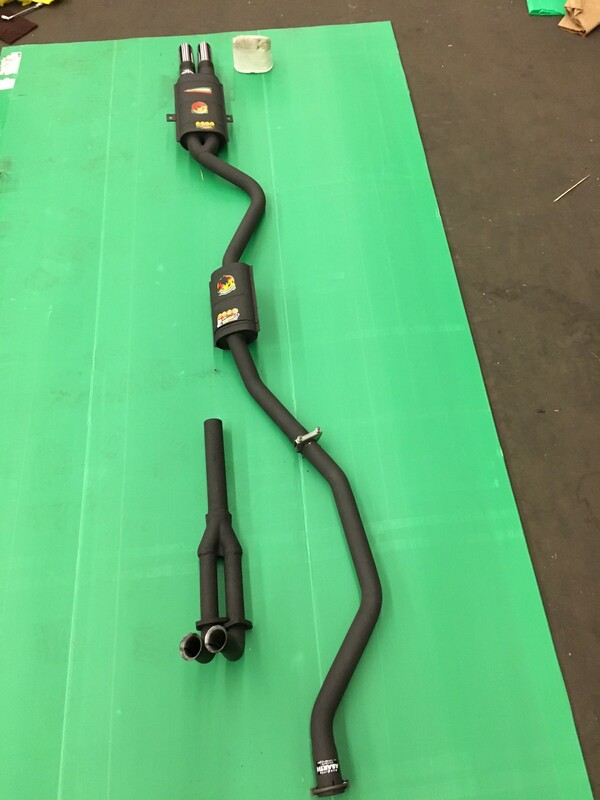 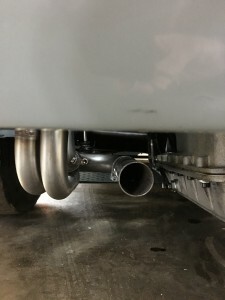 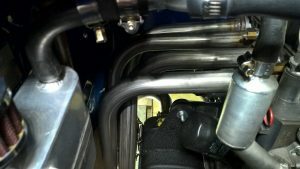 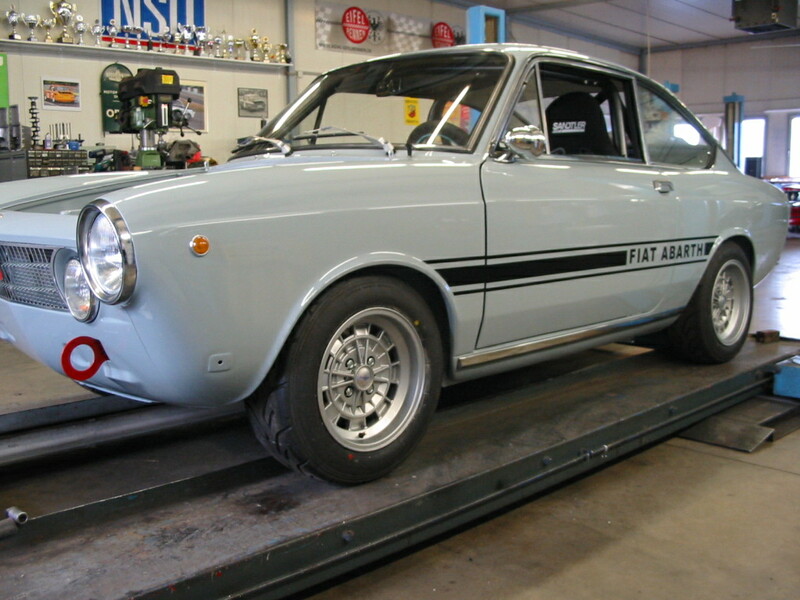 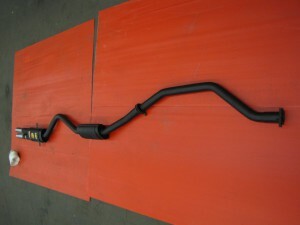 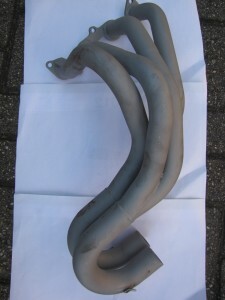 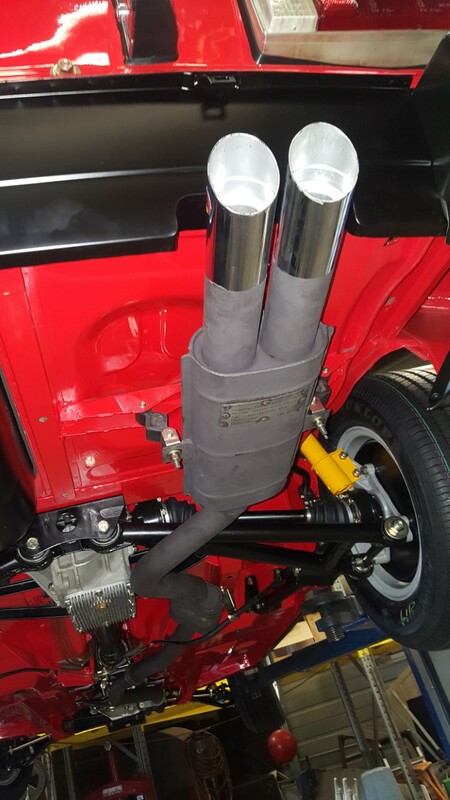 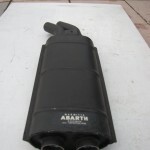 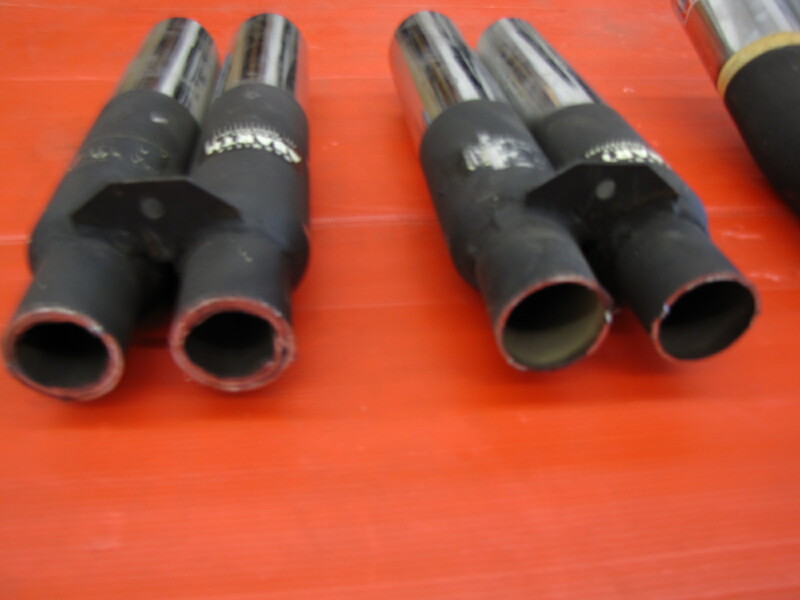 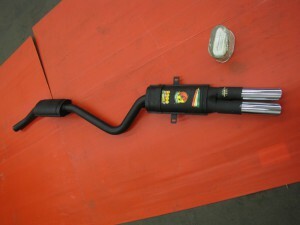 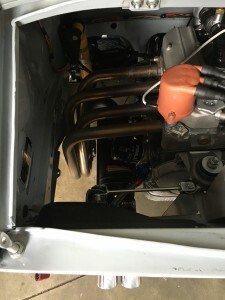 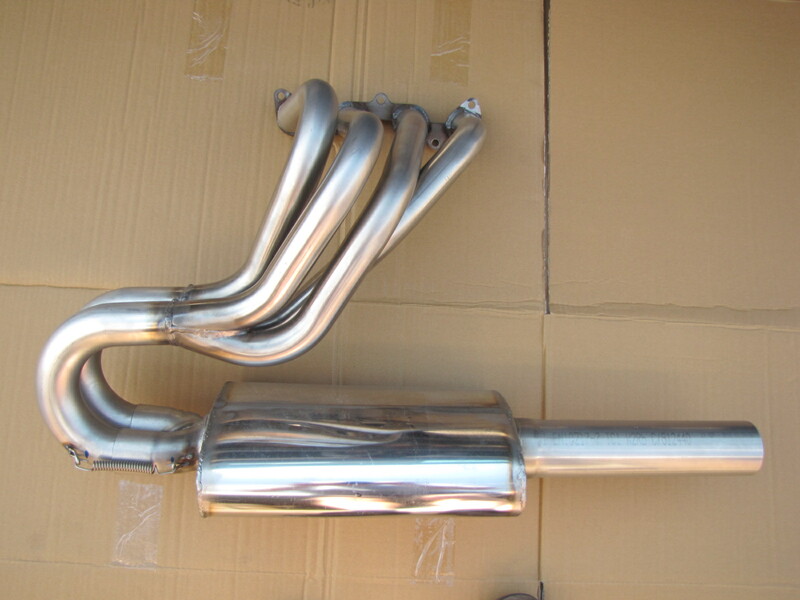 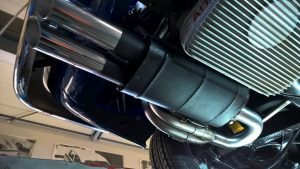 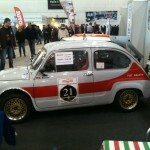 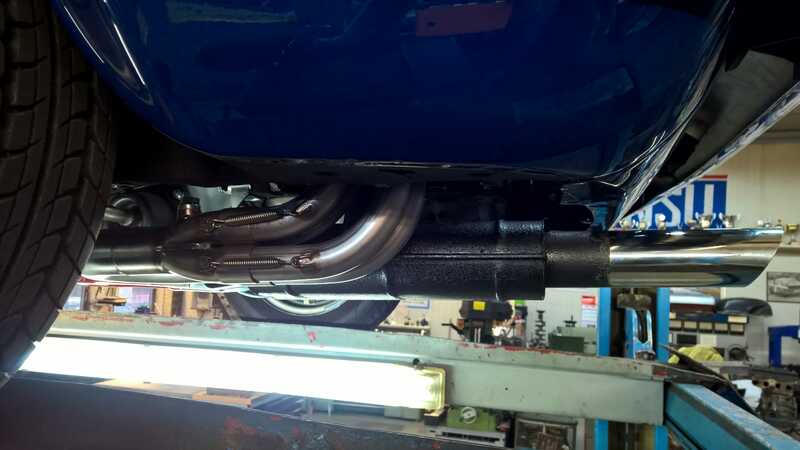 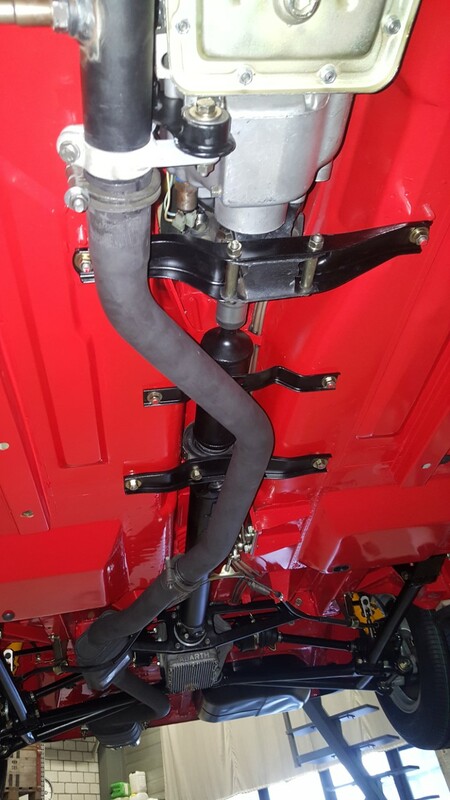 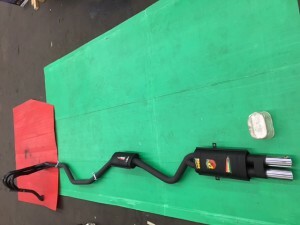 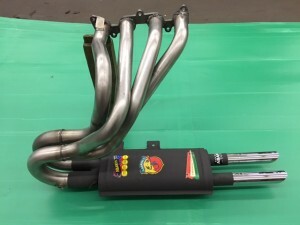 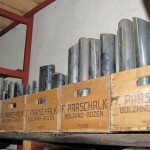 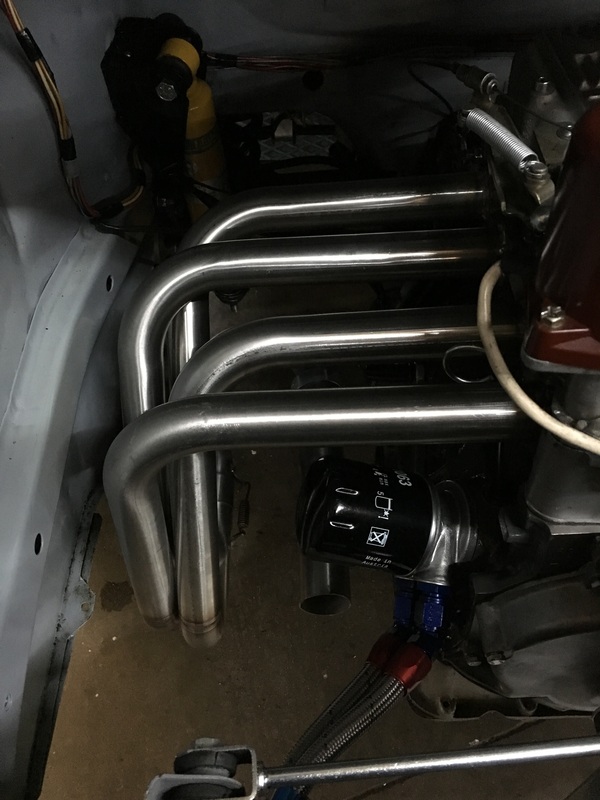 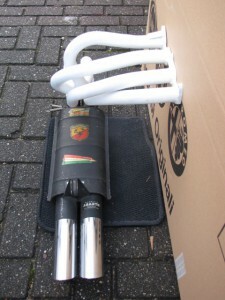 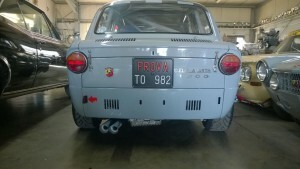 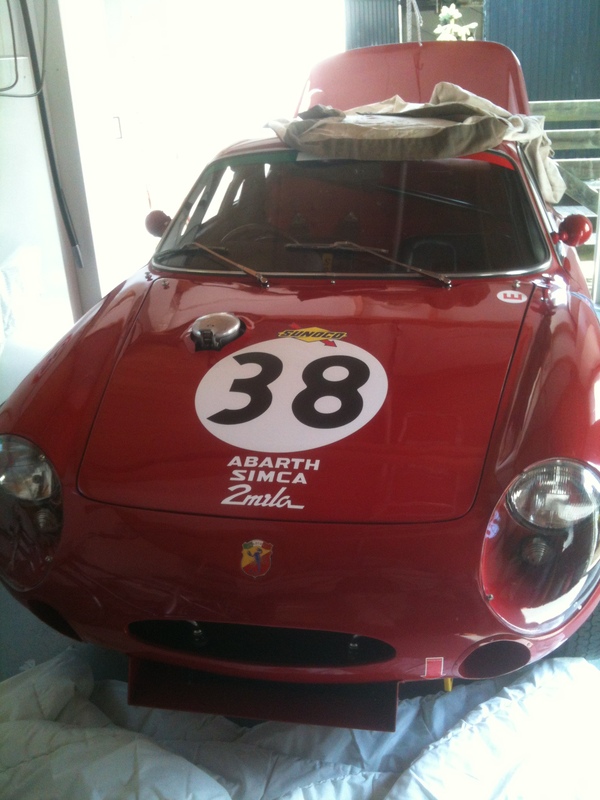 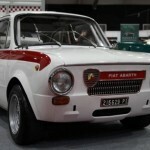 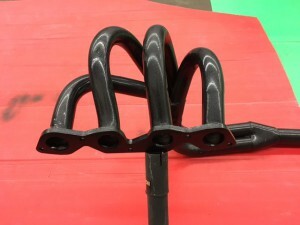 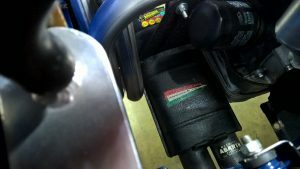 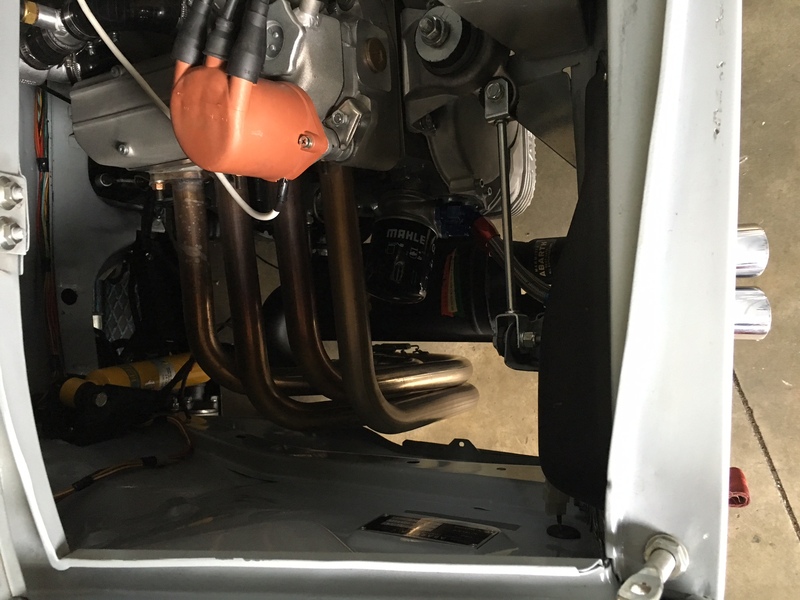 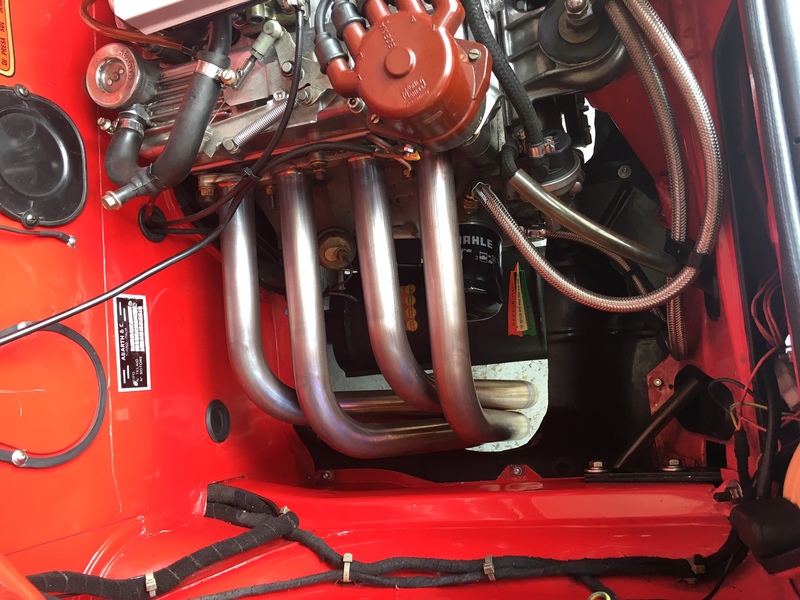 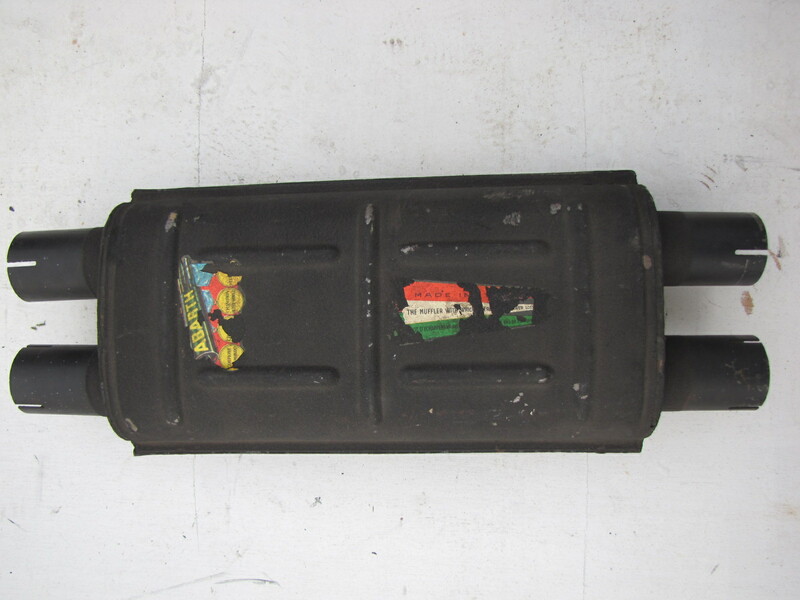 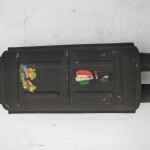 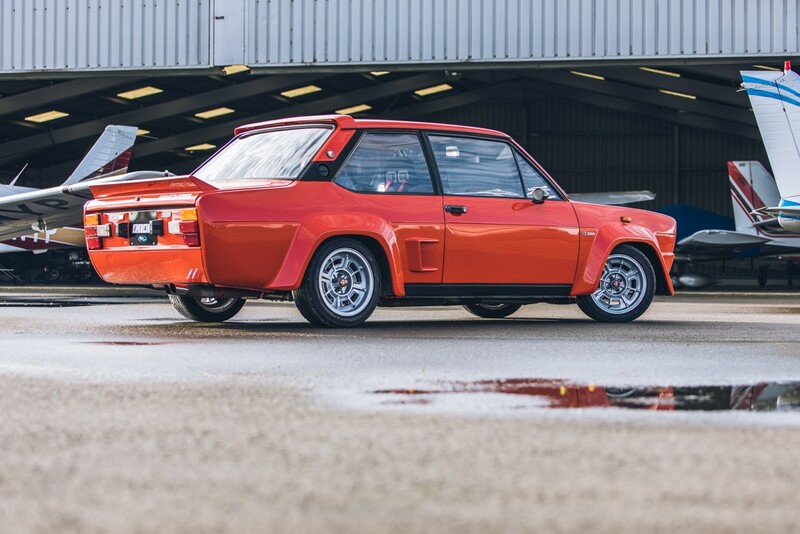 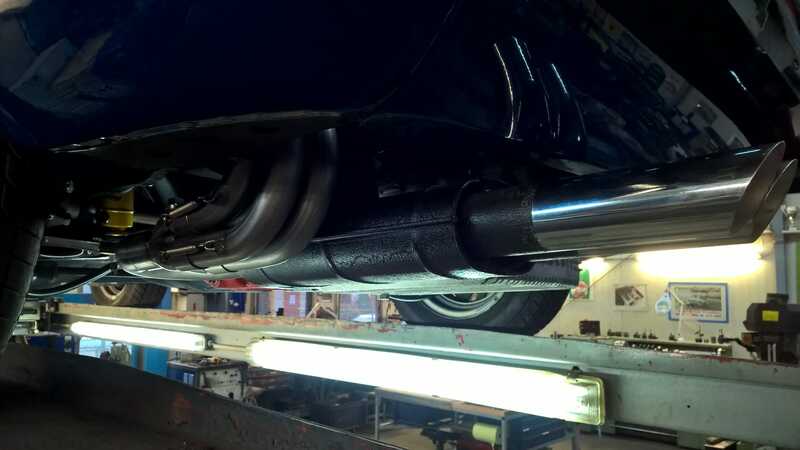 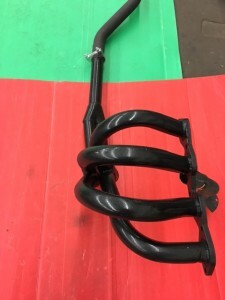 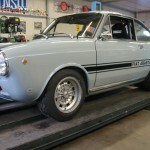 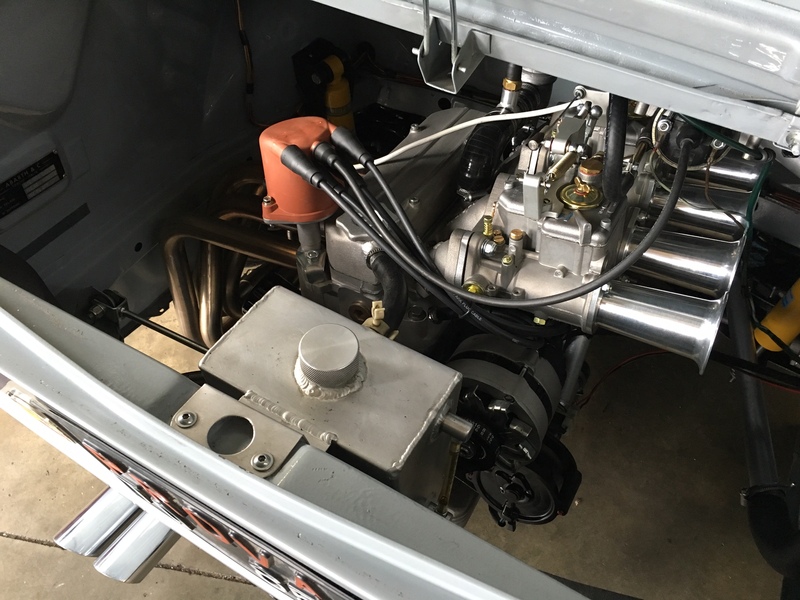 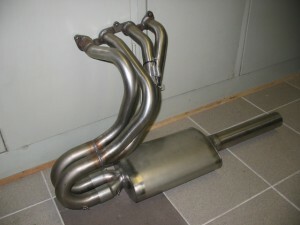 Complete exhaust system incl. 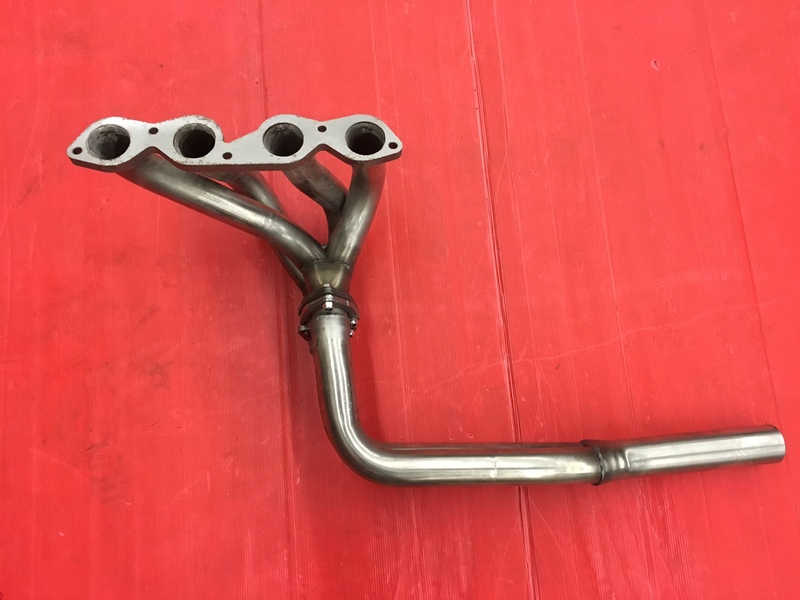 manifold, please ask! 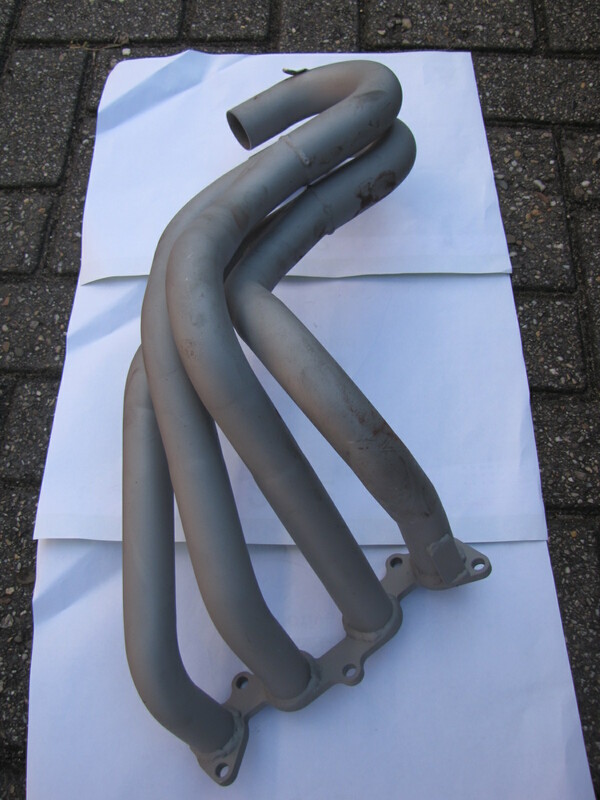 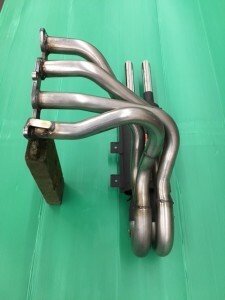 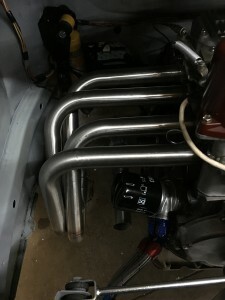 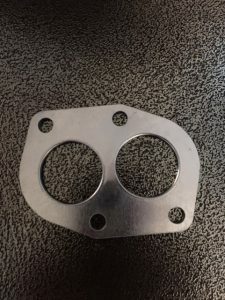 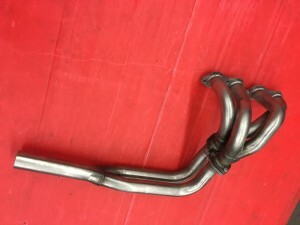 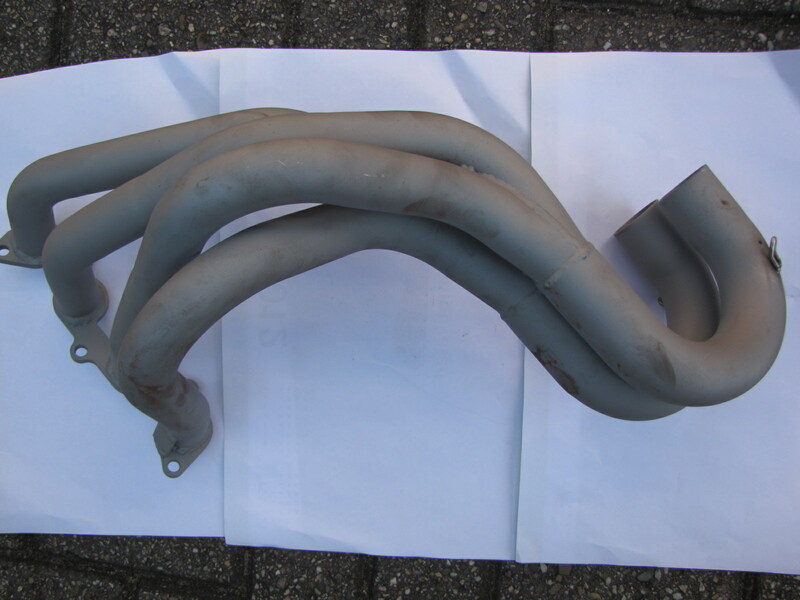 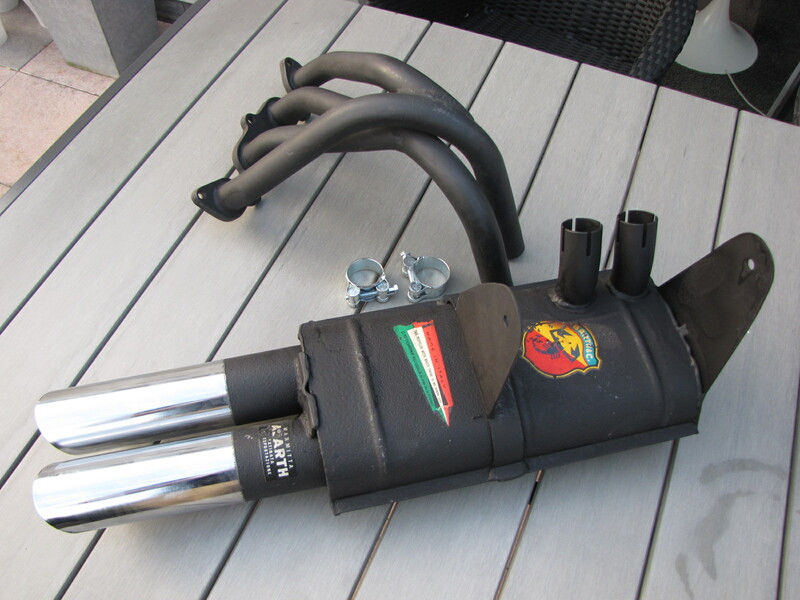 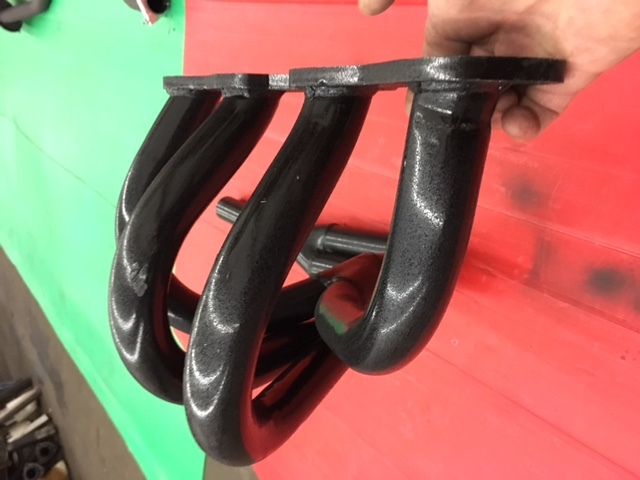 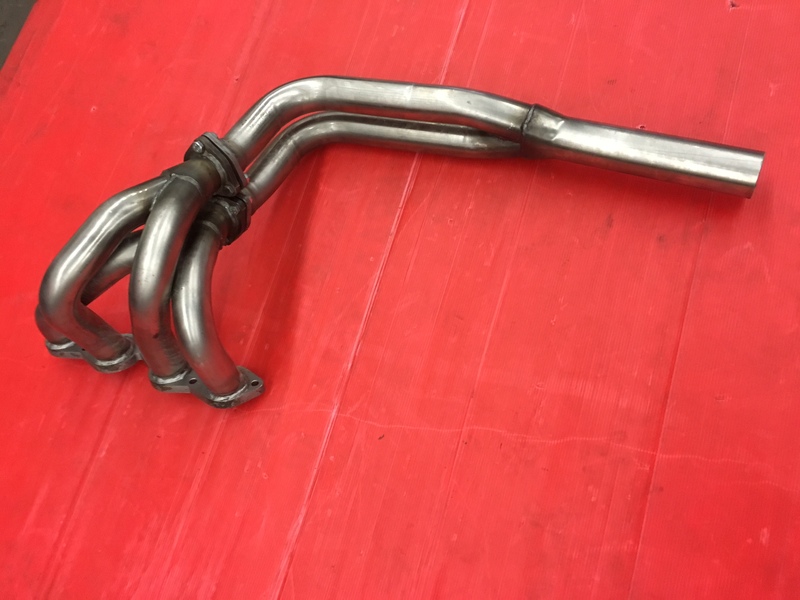 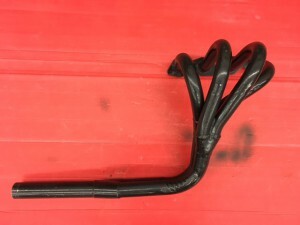 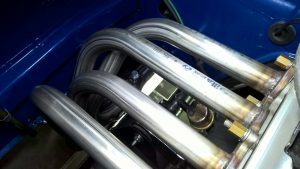 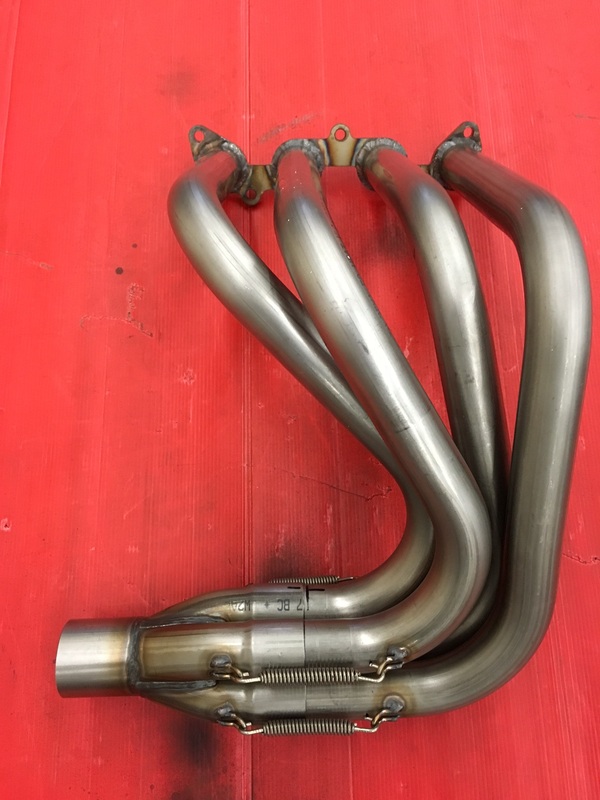 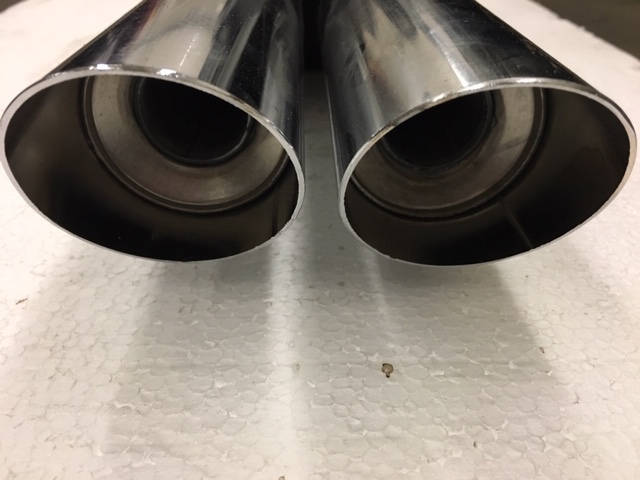 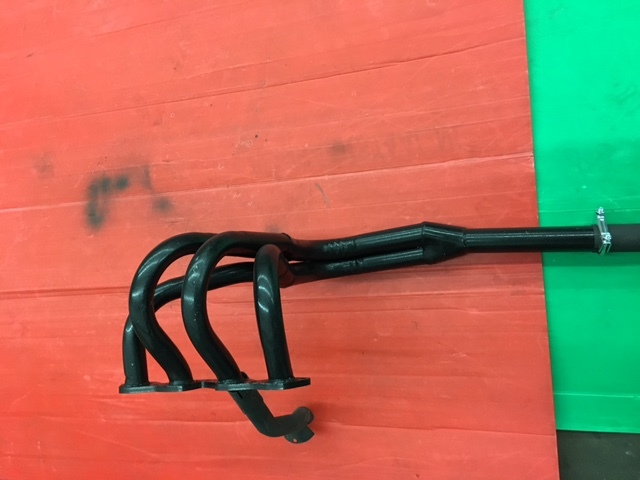 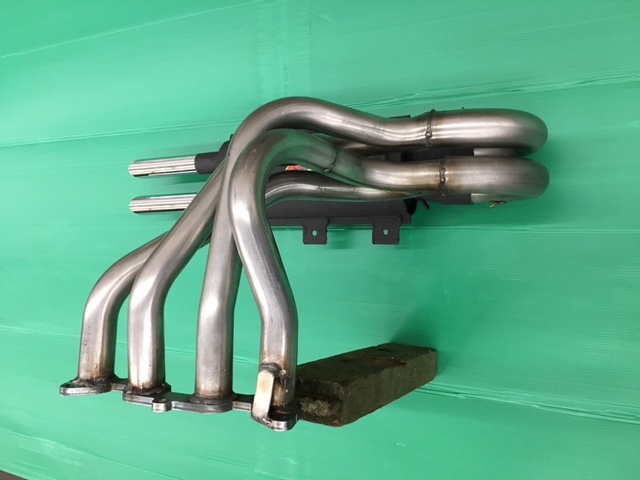 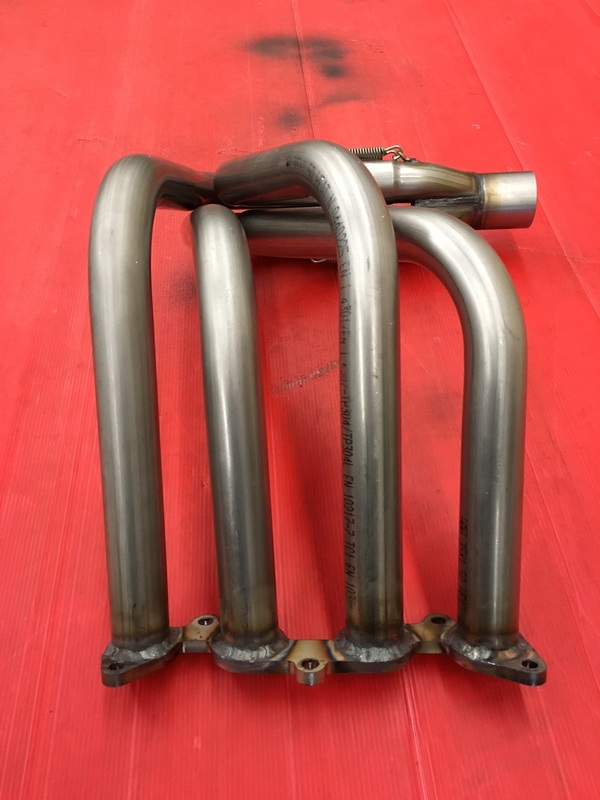 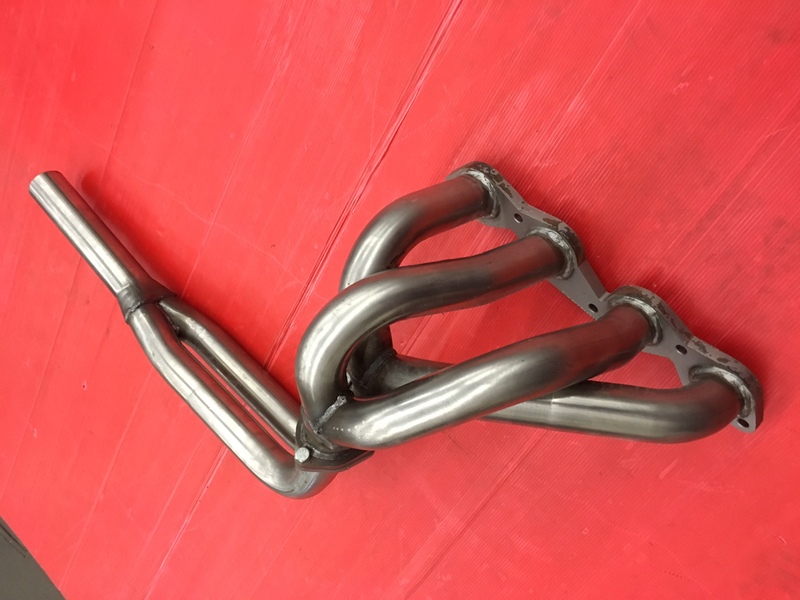 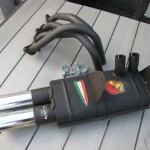 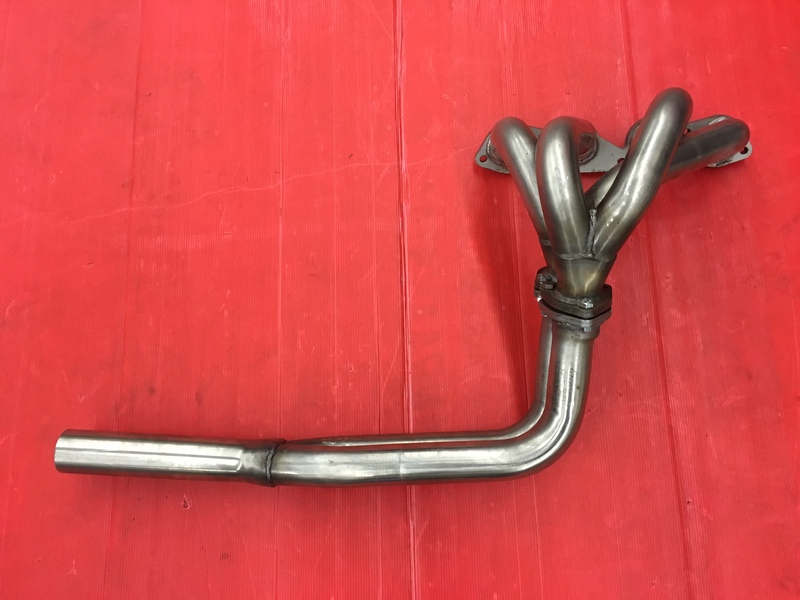 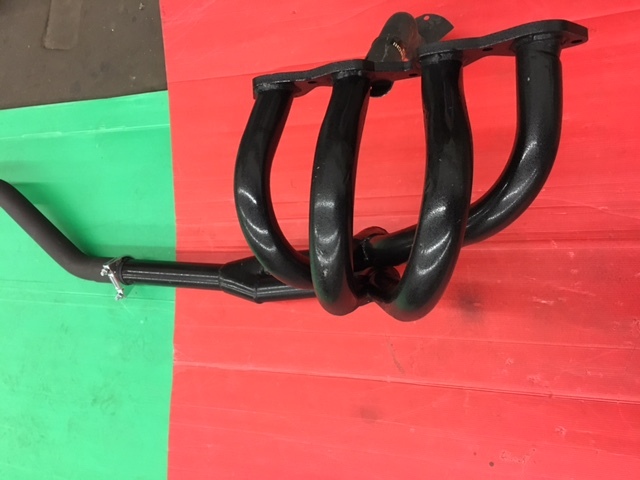 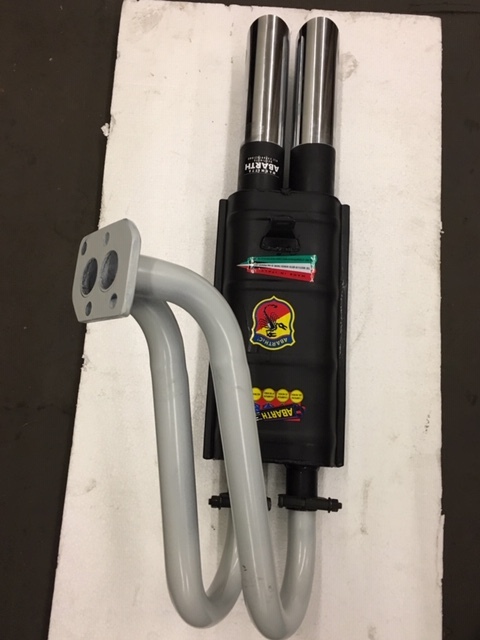 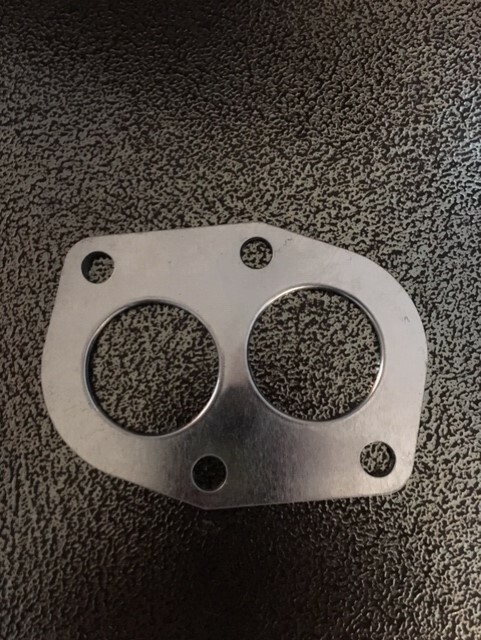 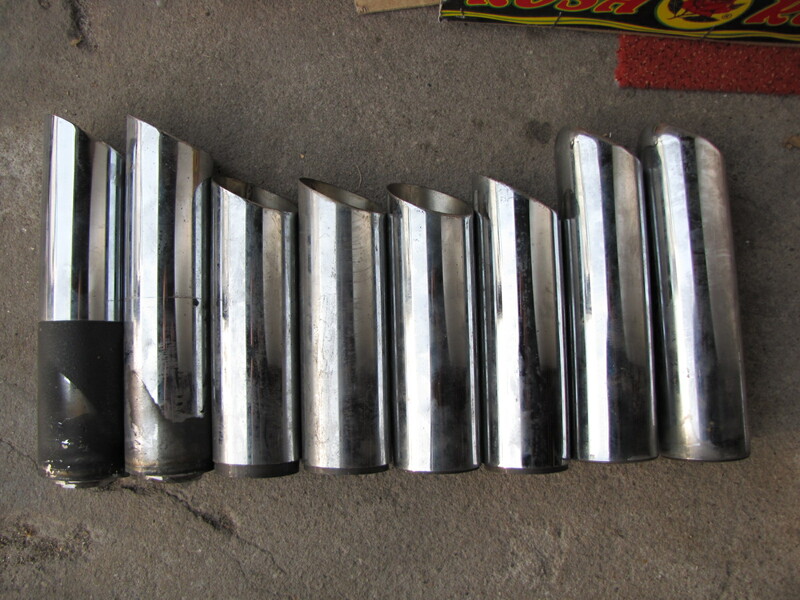 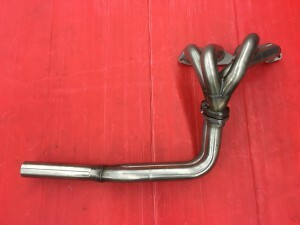 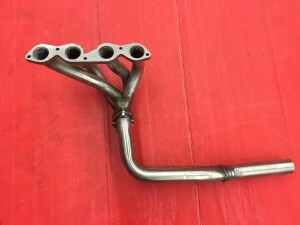 A thin stainless pipe manifold/header for the 850 Berlina, Coupe and Spider series, including the Fiat-Abarth 1000 OT/OTS, for racing or street cruising. 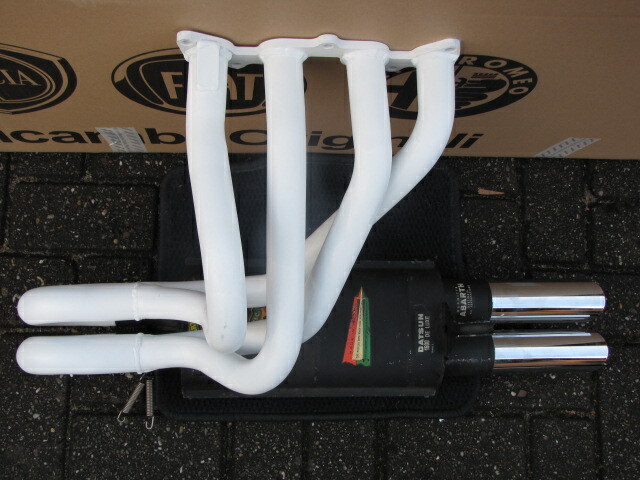 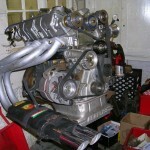 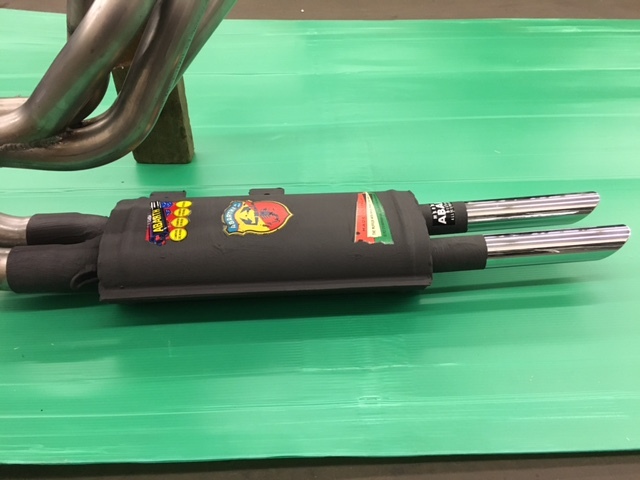 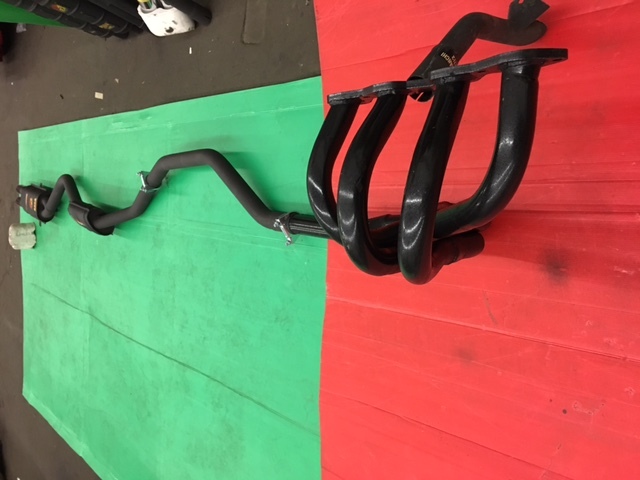 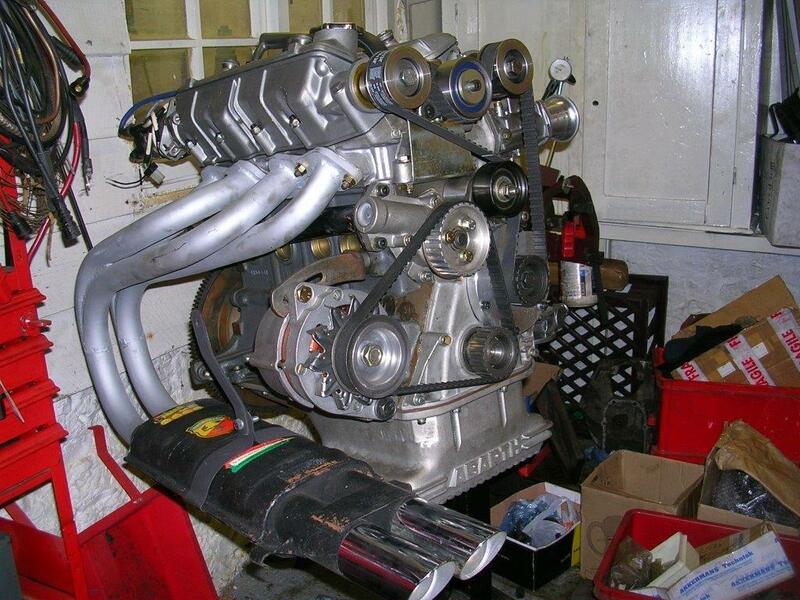 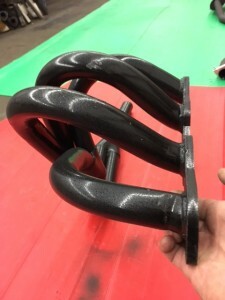 This manifold is gave extra HP on the testbench, because of the long equal length of the pipes!